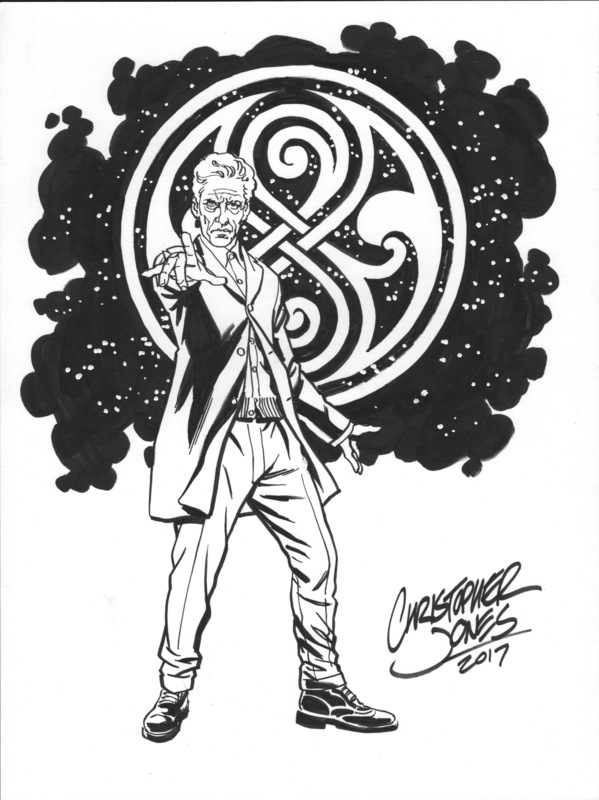 On Saturday August 25 I’ll be at Pikeville Comic Con in Pikeville, KY. As usual I’ll have 11″x17″ and 8.5″x11″ prints for sale and am happy to chat with fans and autographs and photos are free (as always)! 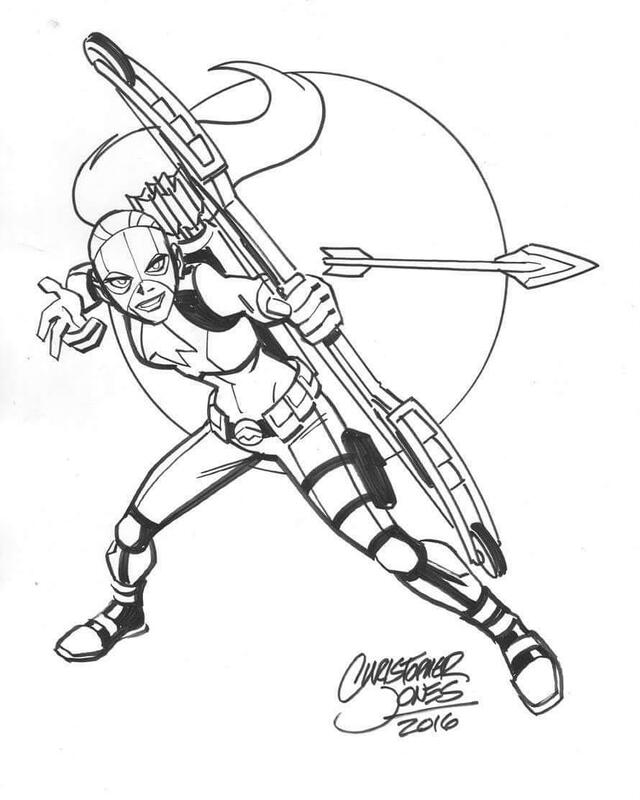 But what about commission sketches? 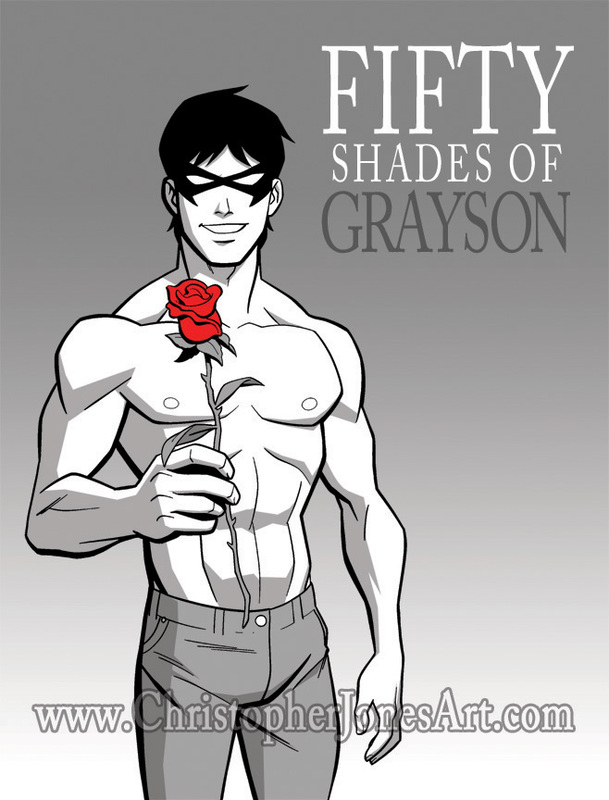 Yes, I’ll be doing those, too. 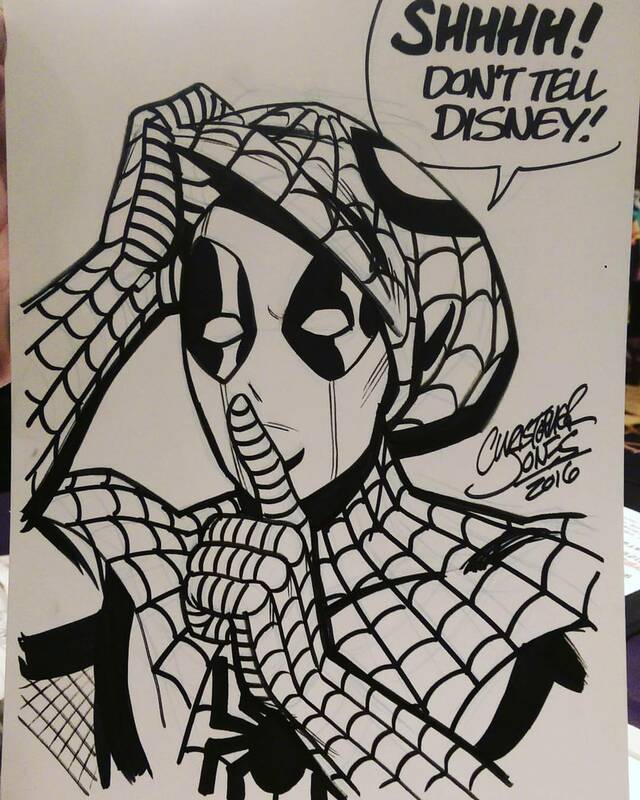 But it’s a 1-day convention and time will be short. 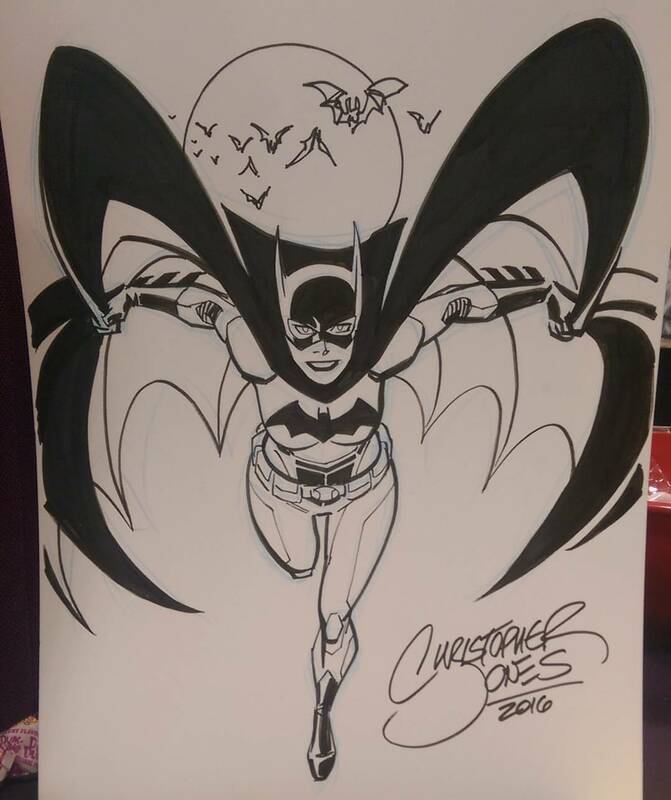 I’ll only have time for a few sketches in between talking to fans at my table throughout the convention day. 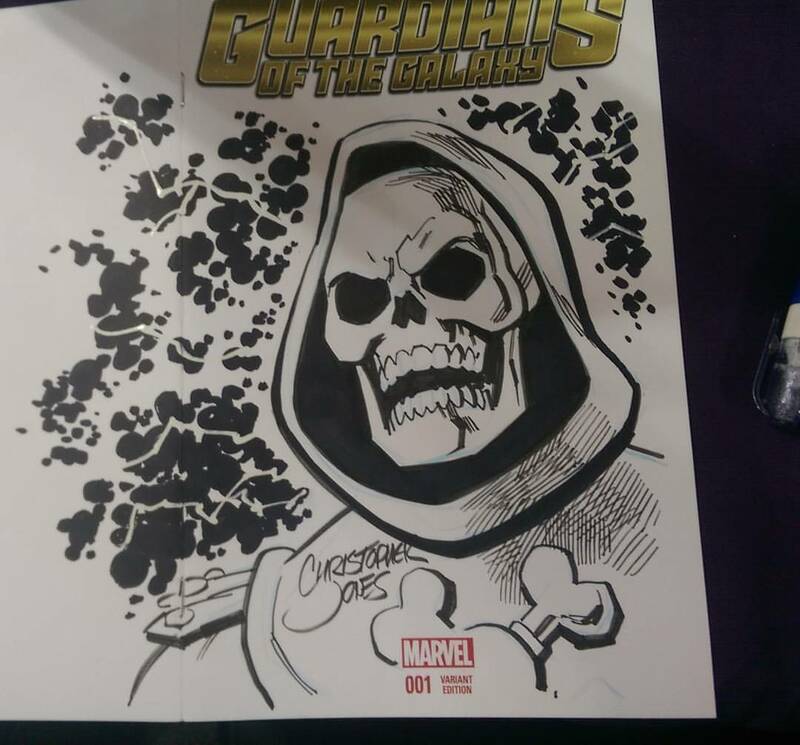 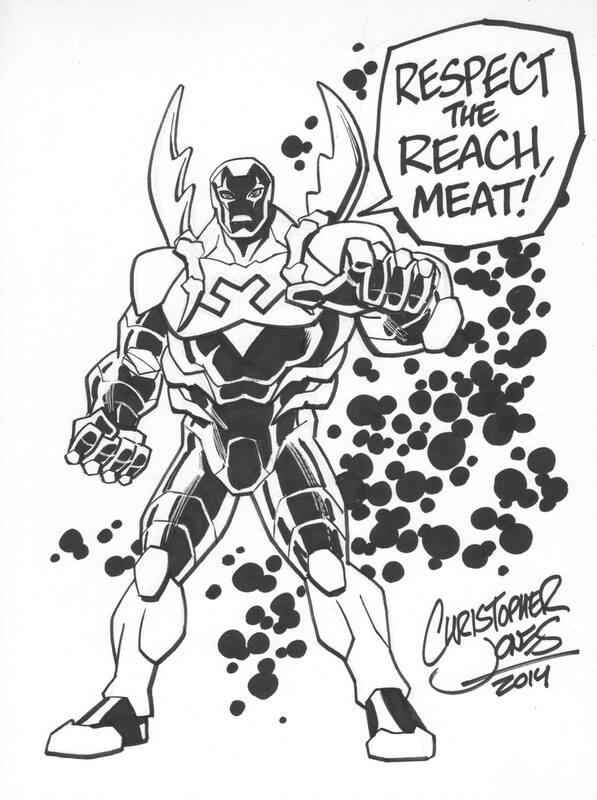 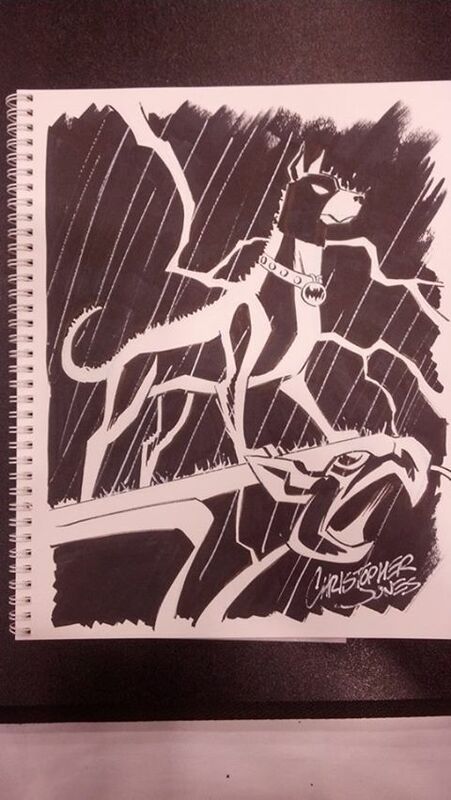 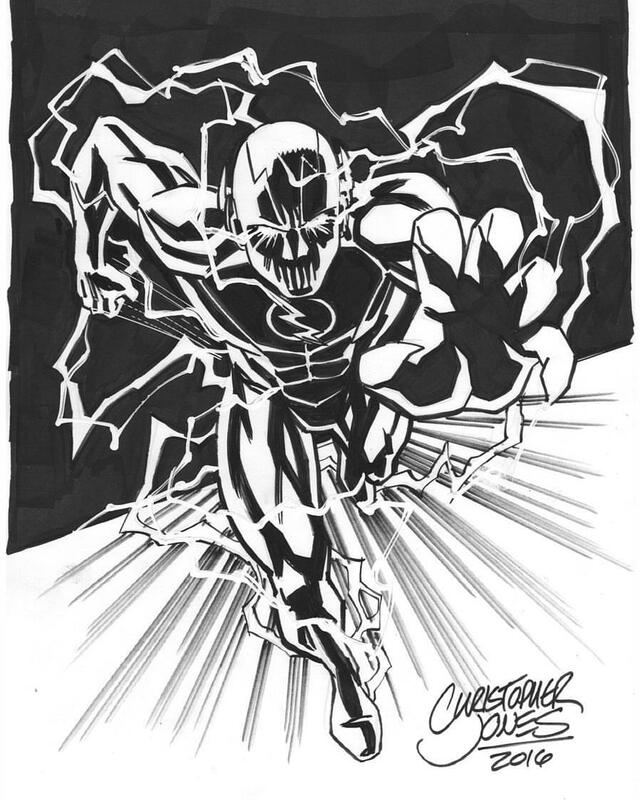 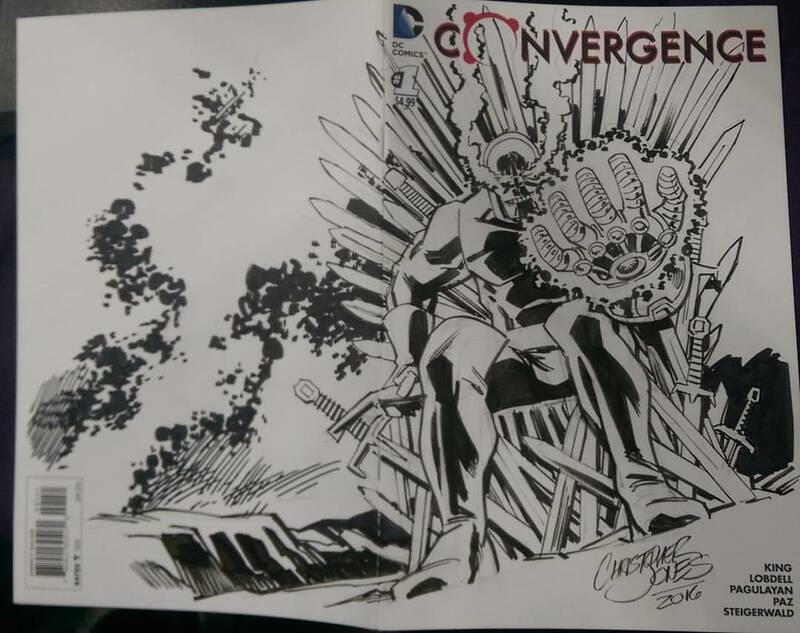 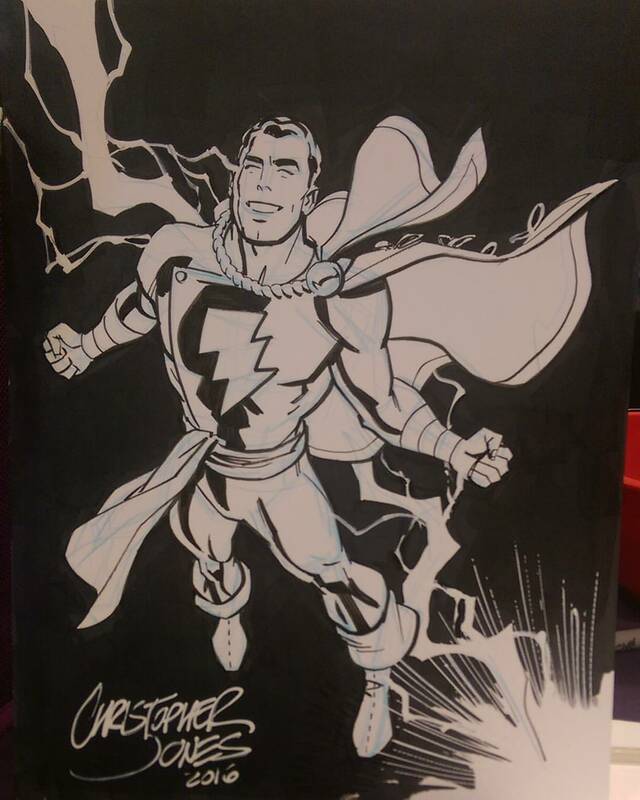 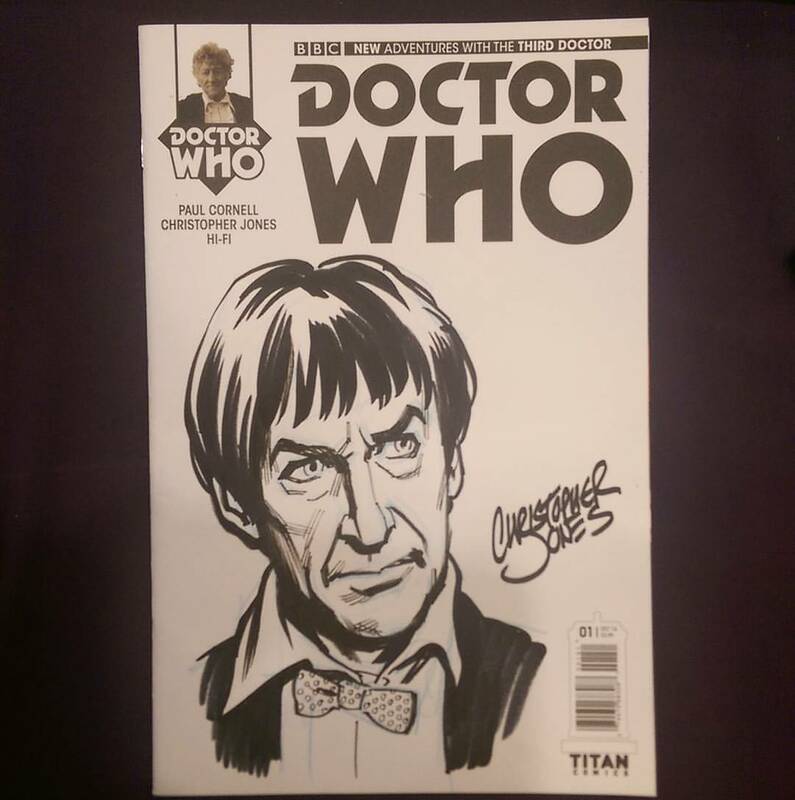 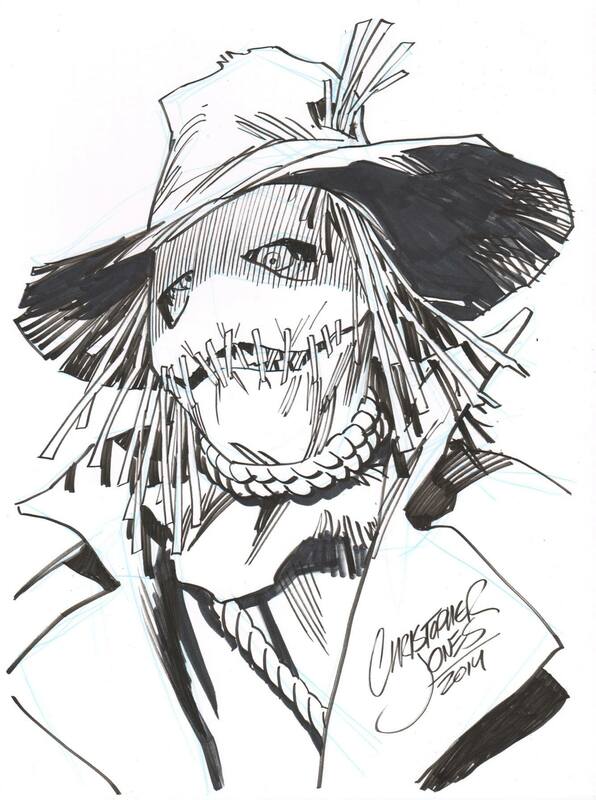 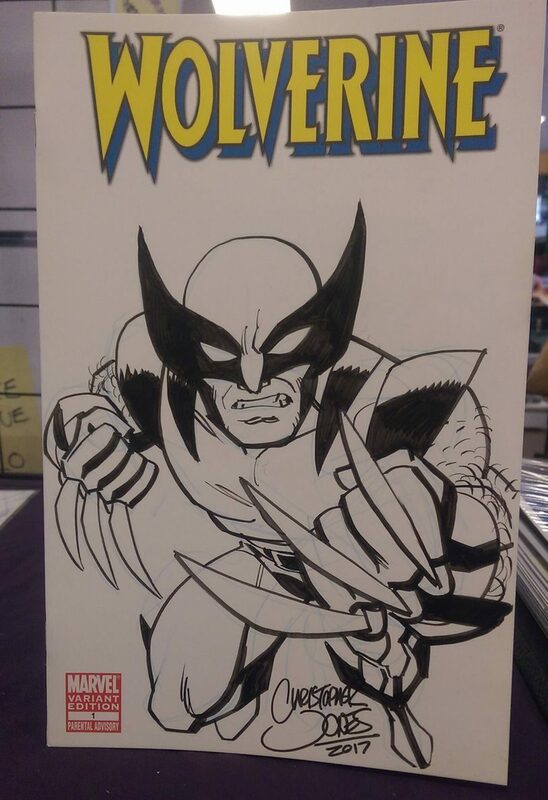 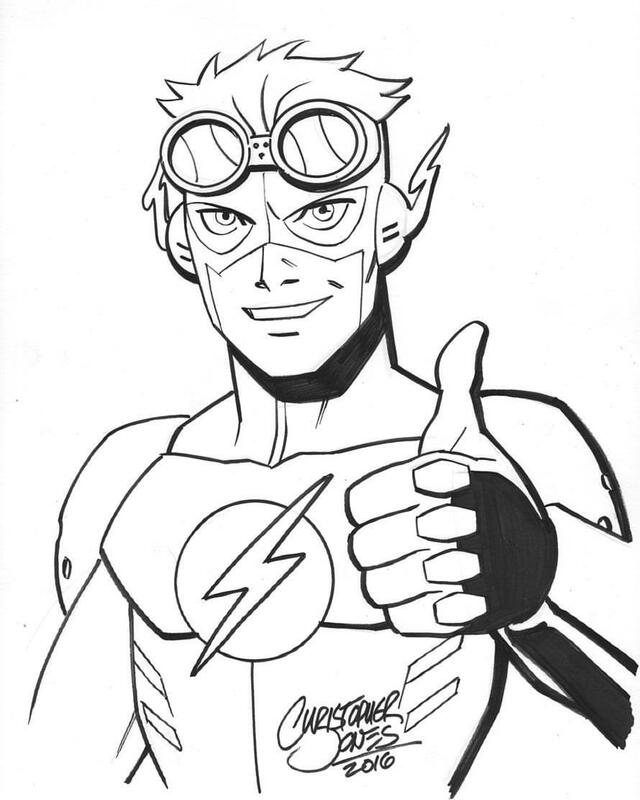 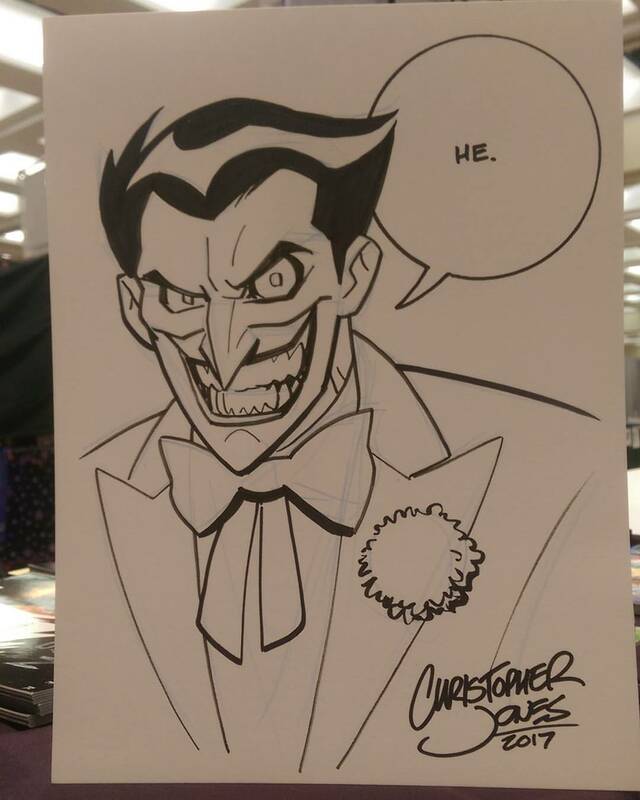 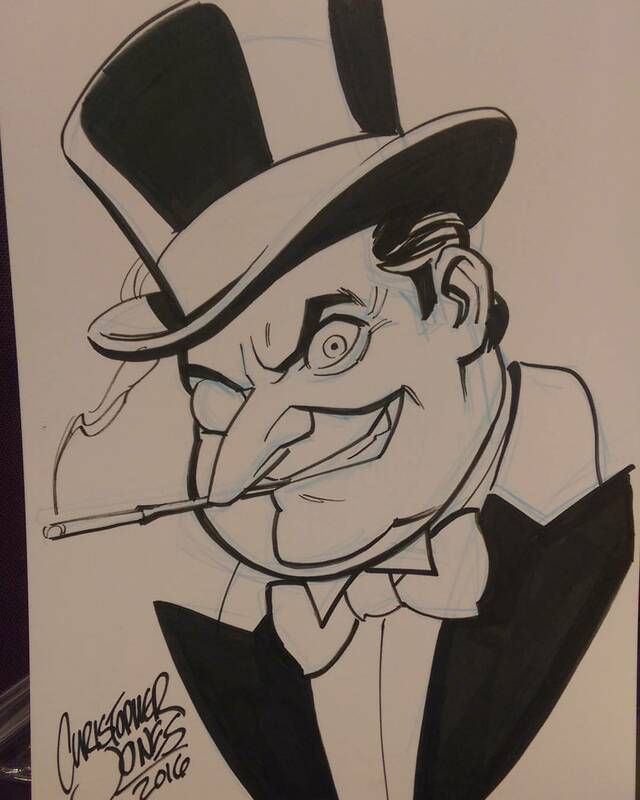 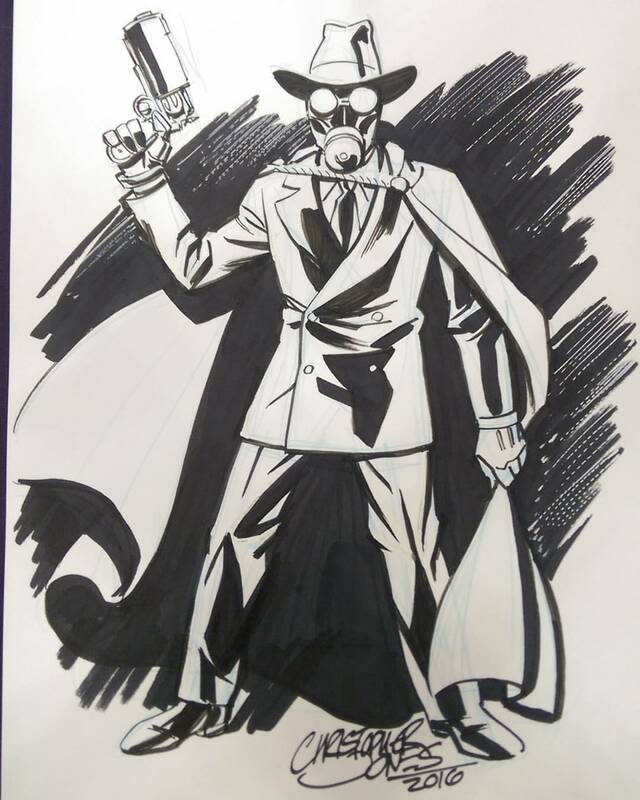 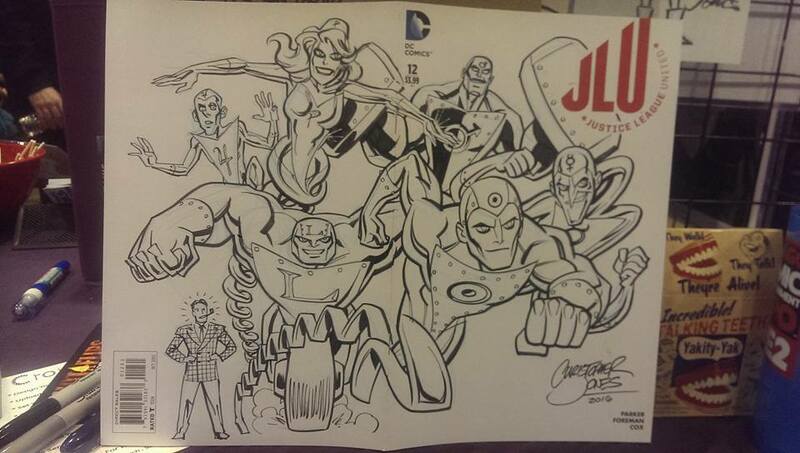 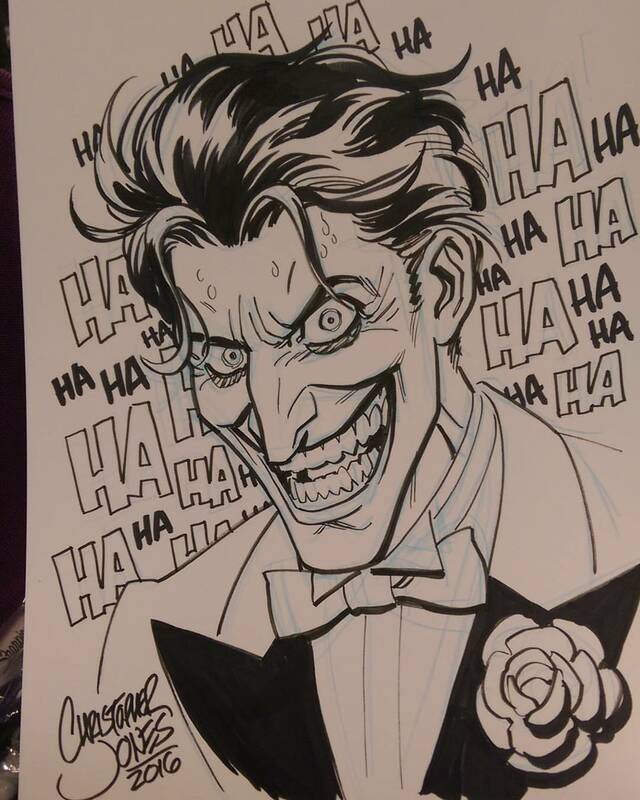 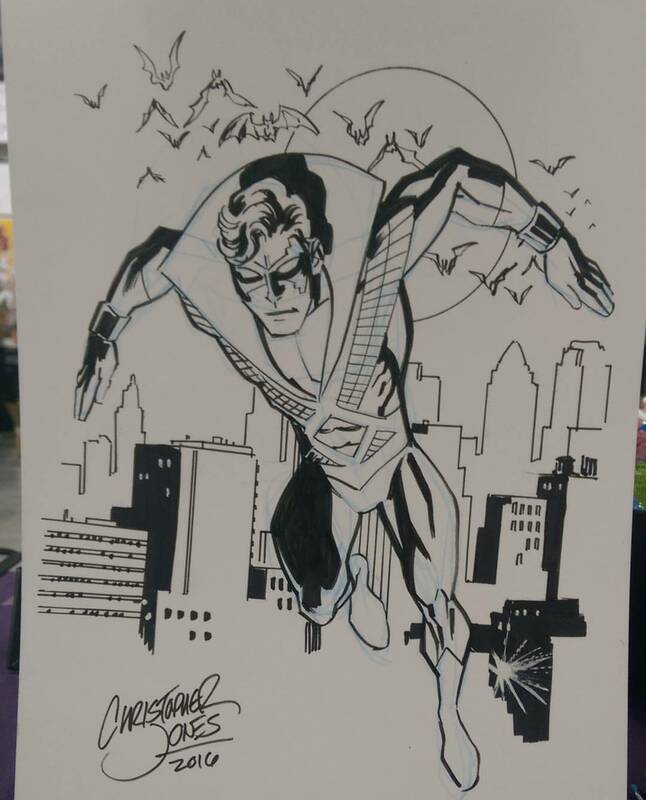 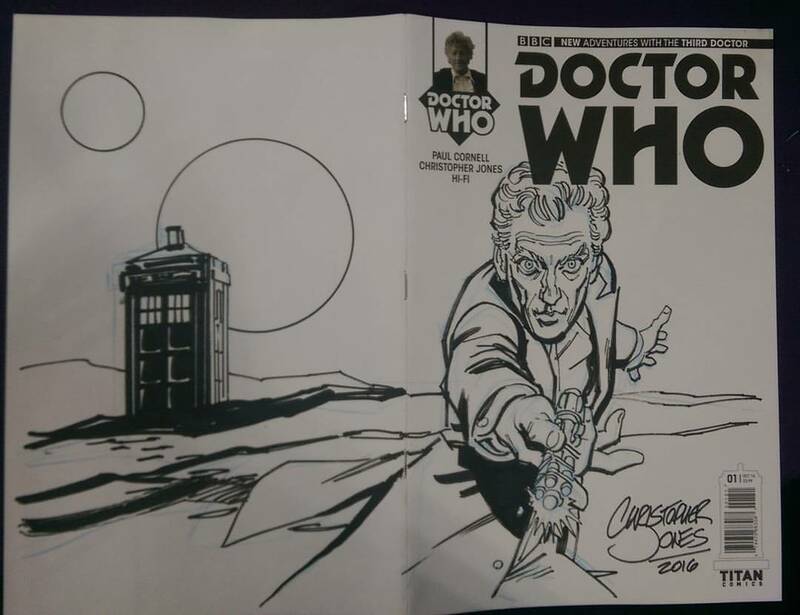 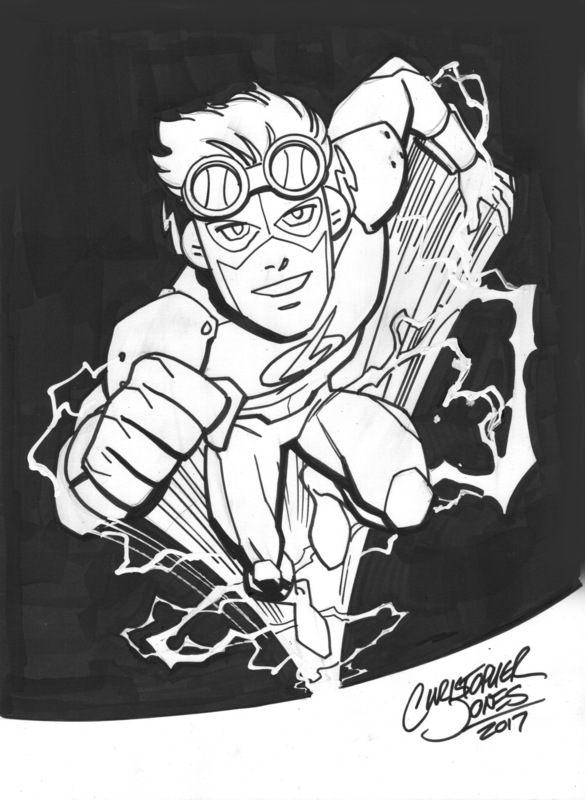 If you want a sketch from me at Pikeville Comic Con, I recommend emailing me NOW and placing an order in advance. 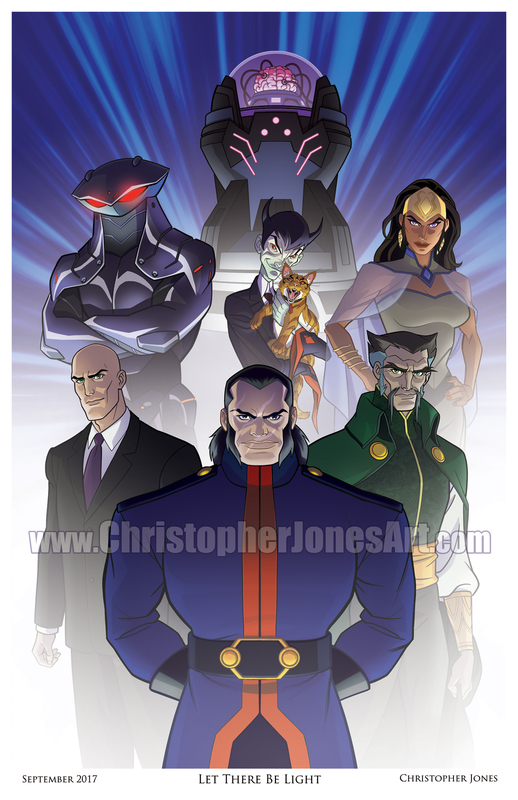 Then I can walk into the convention with the artwork already done and ready for pick-up. 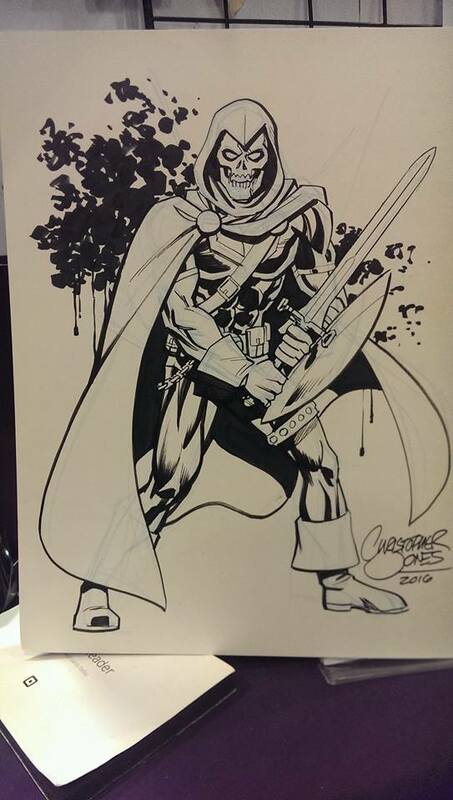 My rates continue to be $60 for a head-and-shoulders character sketch, $100 for a full-figure view of a character. 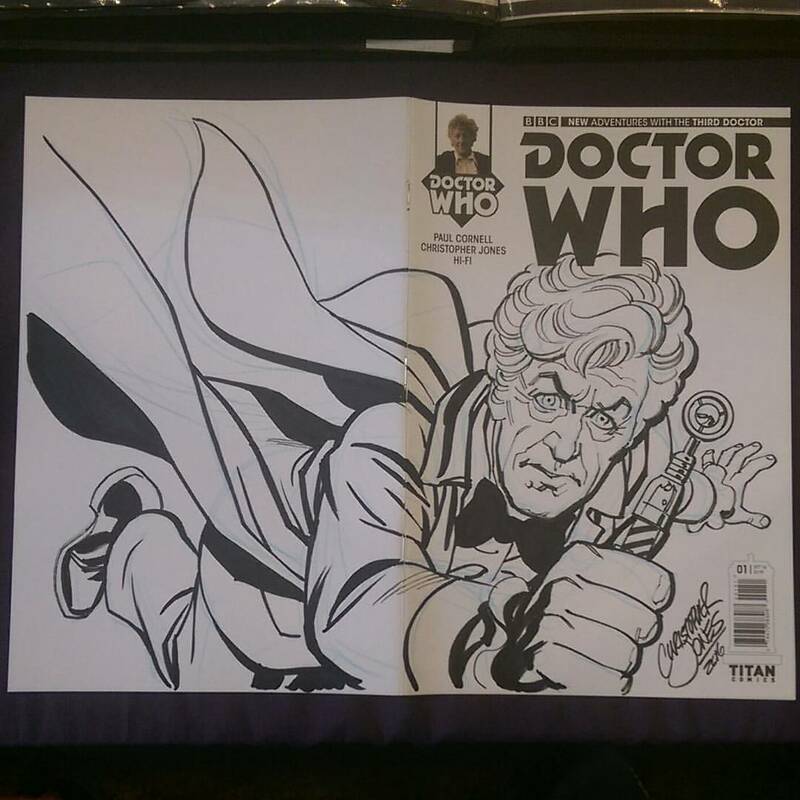 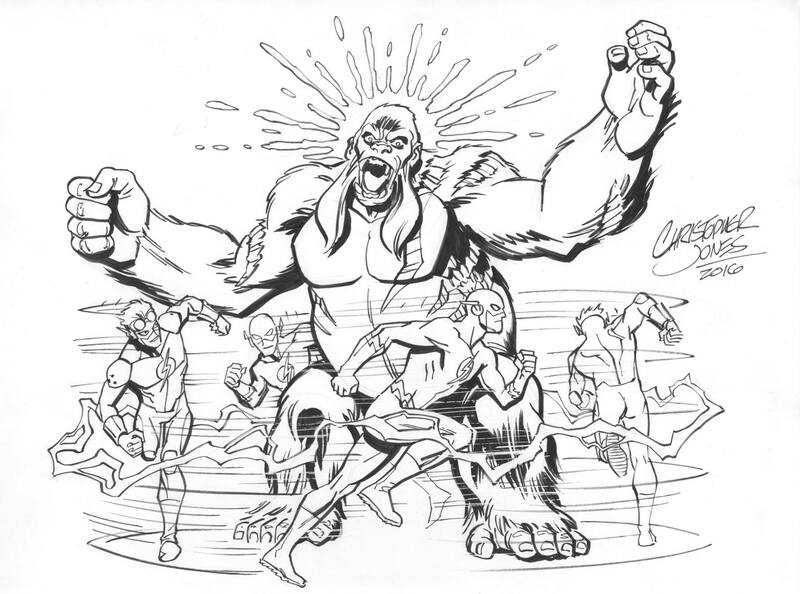 I can add additional characters to the same sketch for $80 per character. 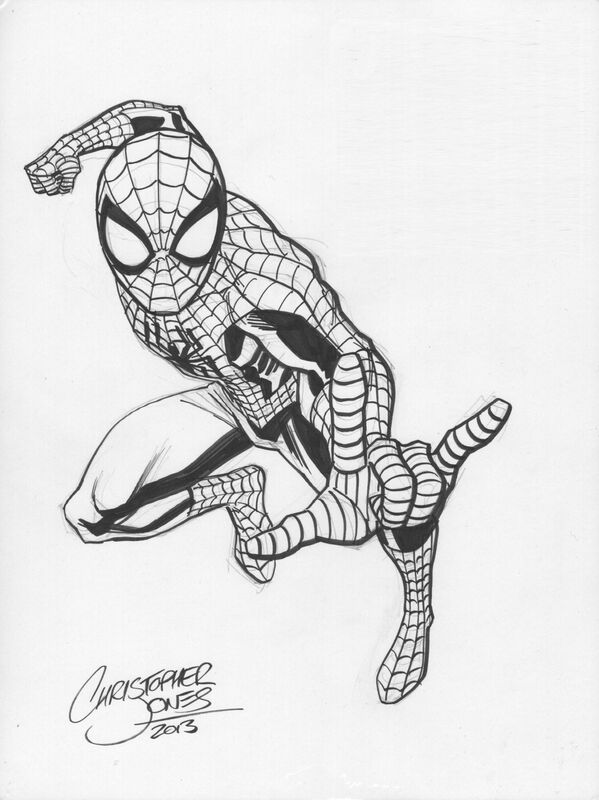 My sketches are ink drawings are black and white line art on 9″x12″ Bristol. 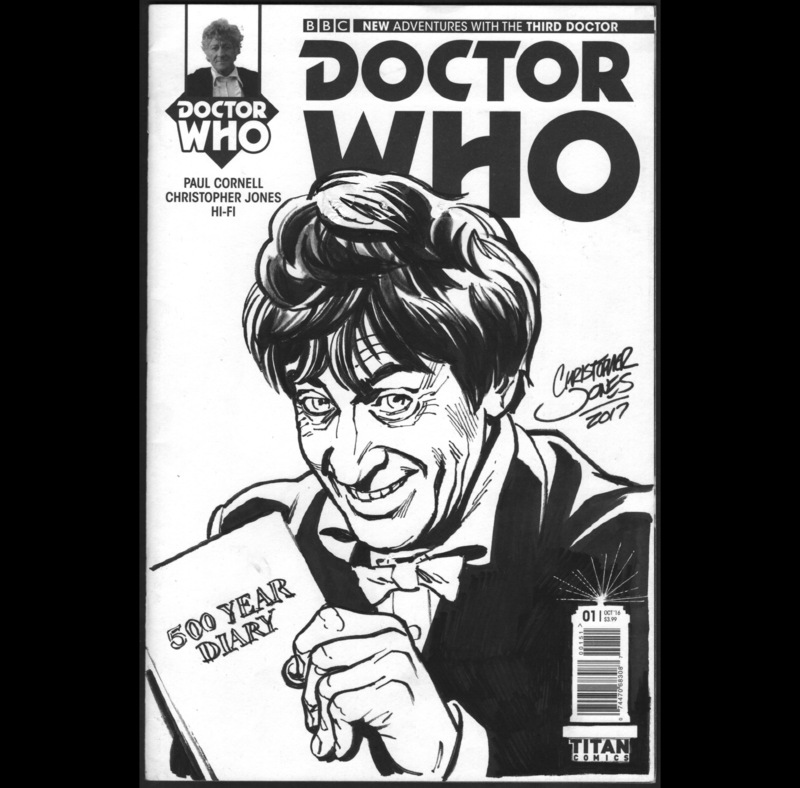 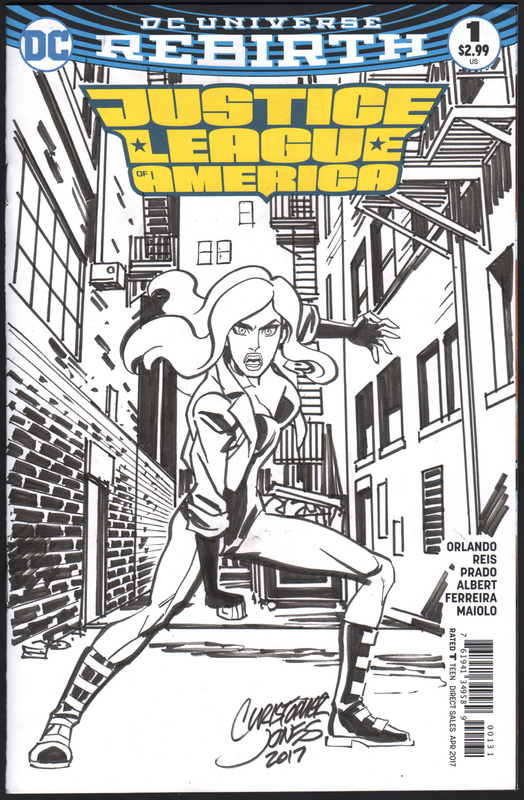 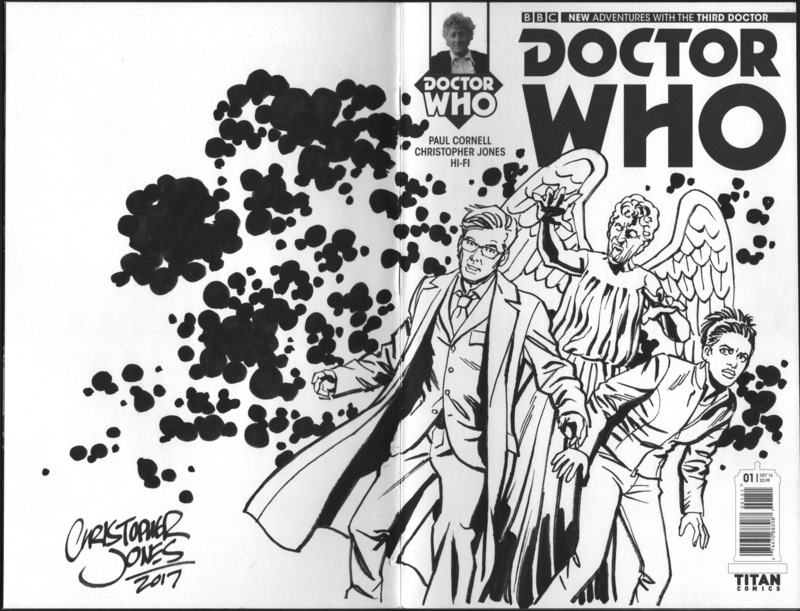 I’ll do commission sketches for the same rates in sketchbooks or on sketch covers for the same rates if you provide the book. 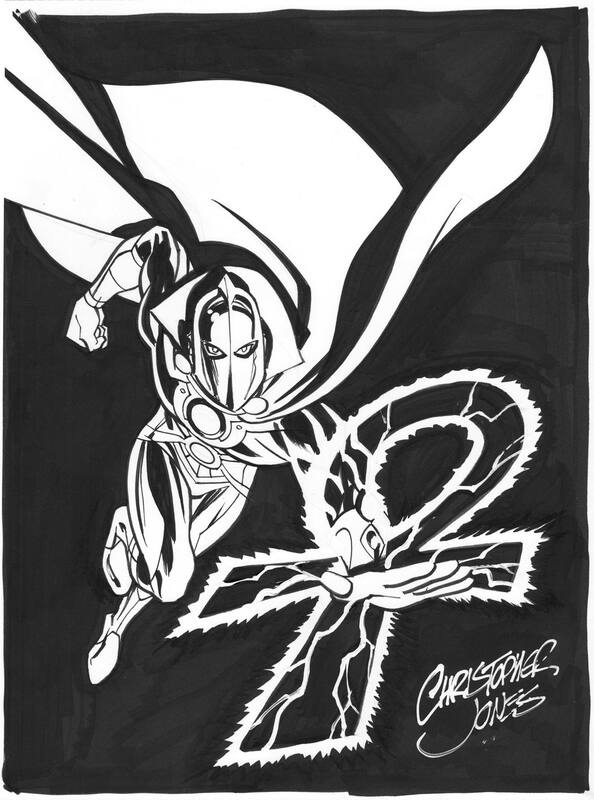 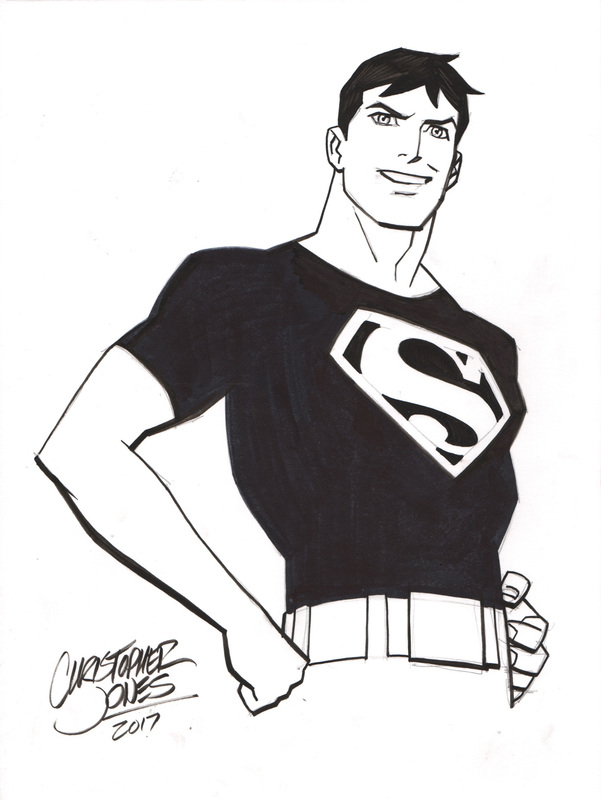 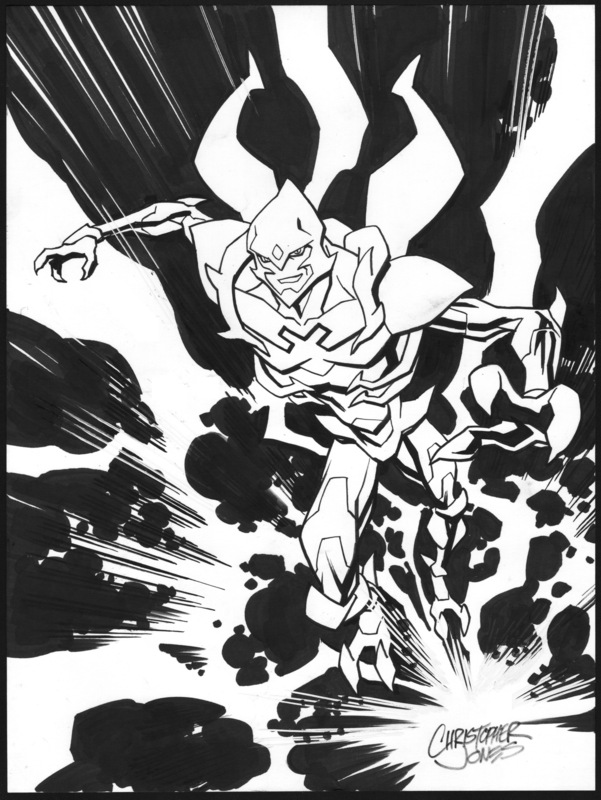 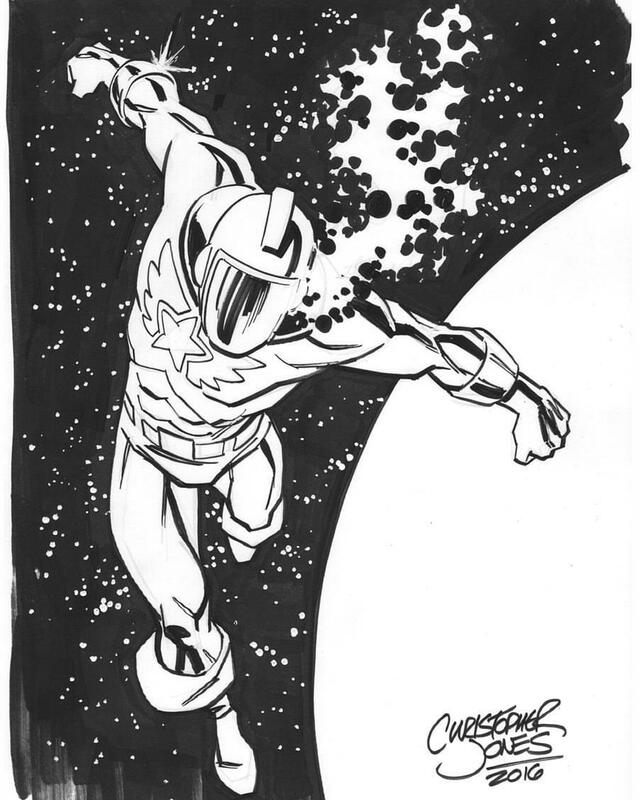 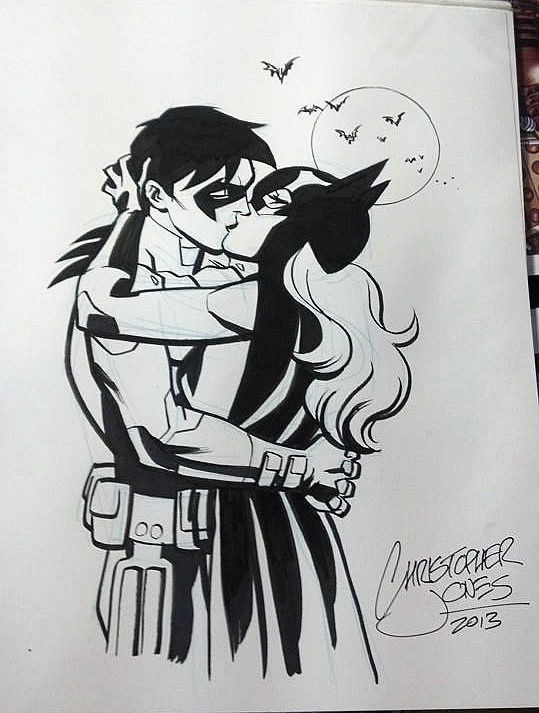 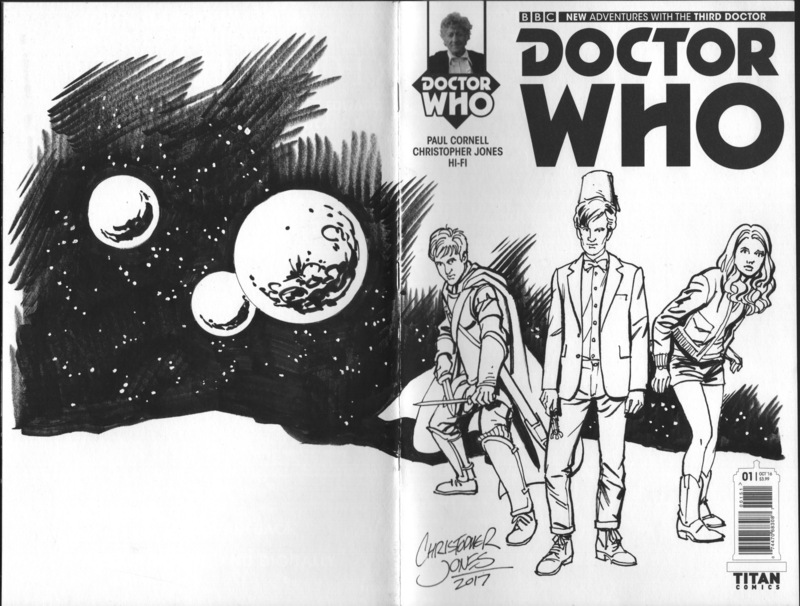 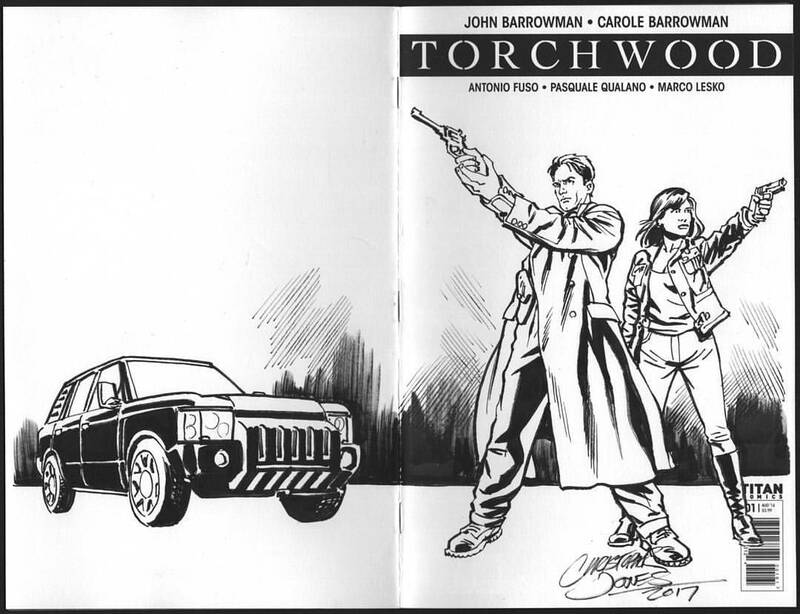 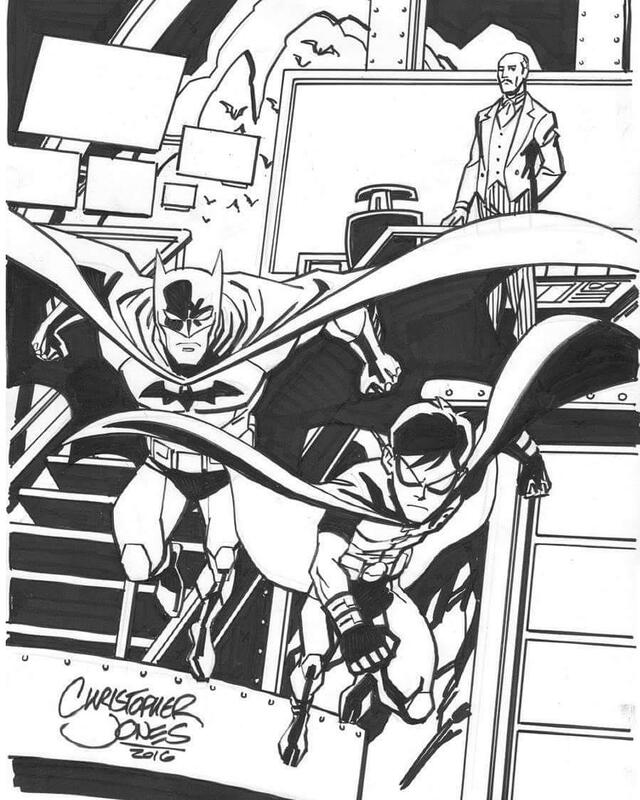 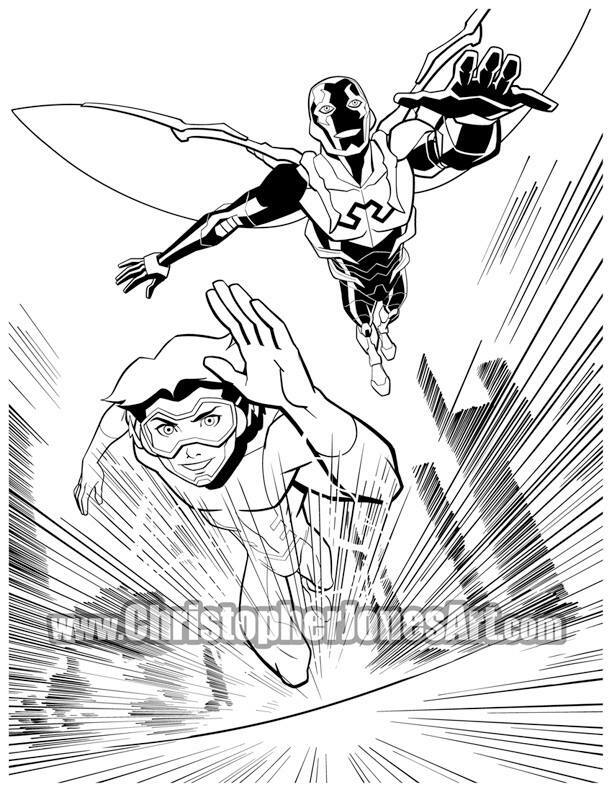 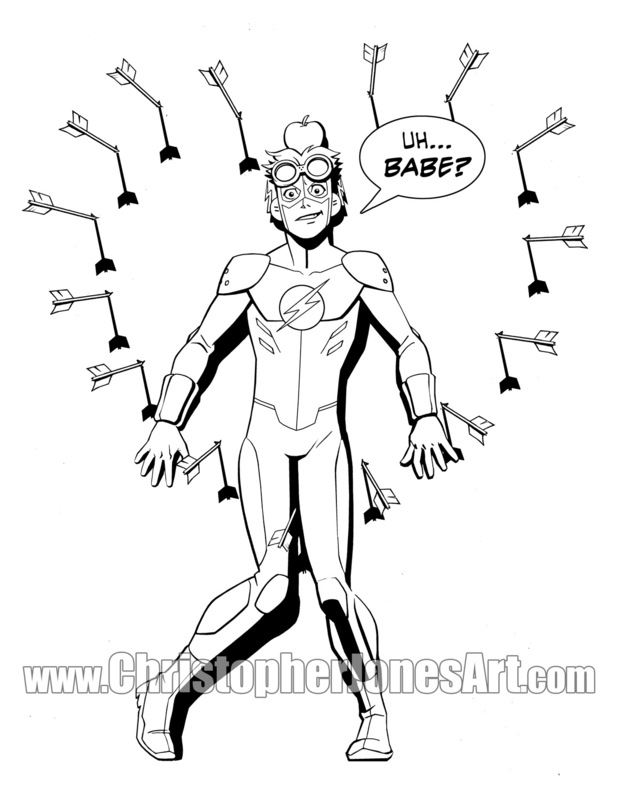 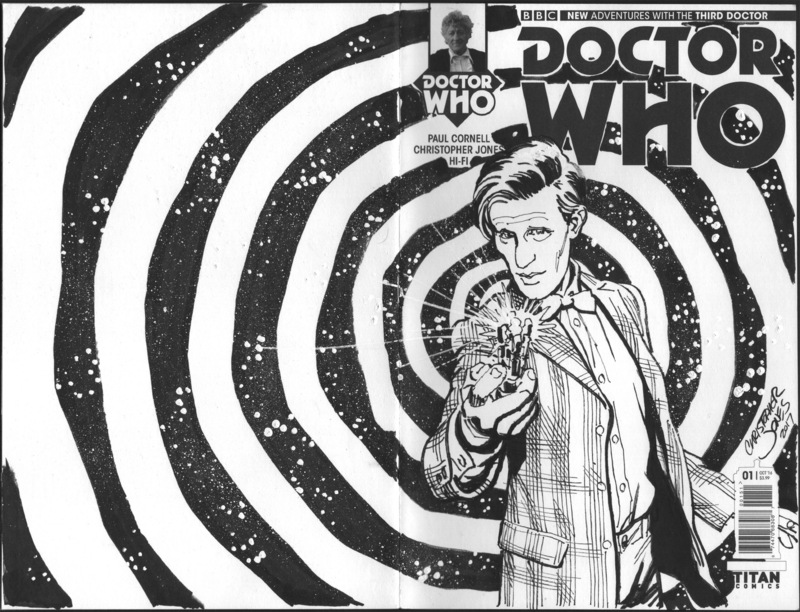 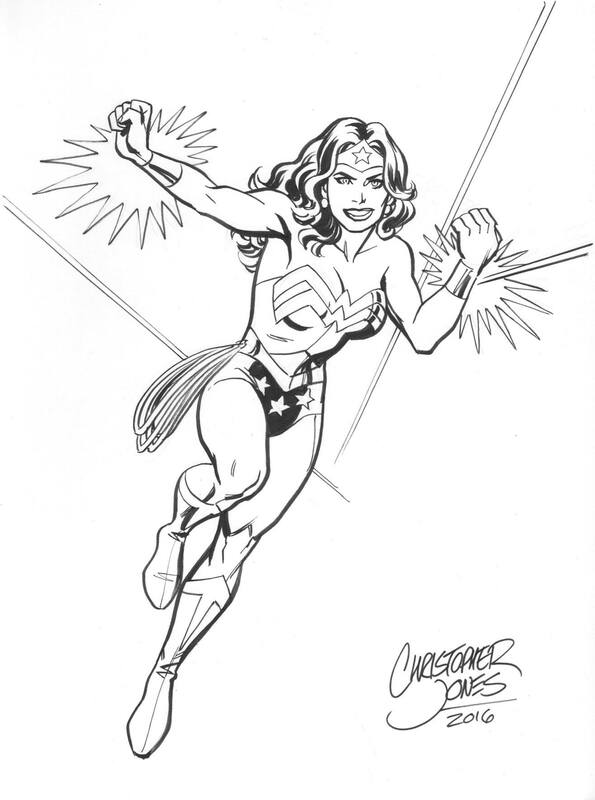 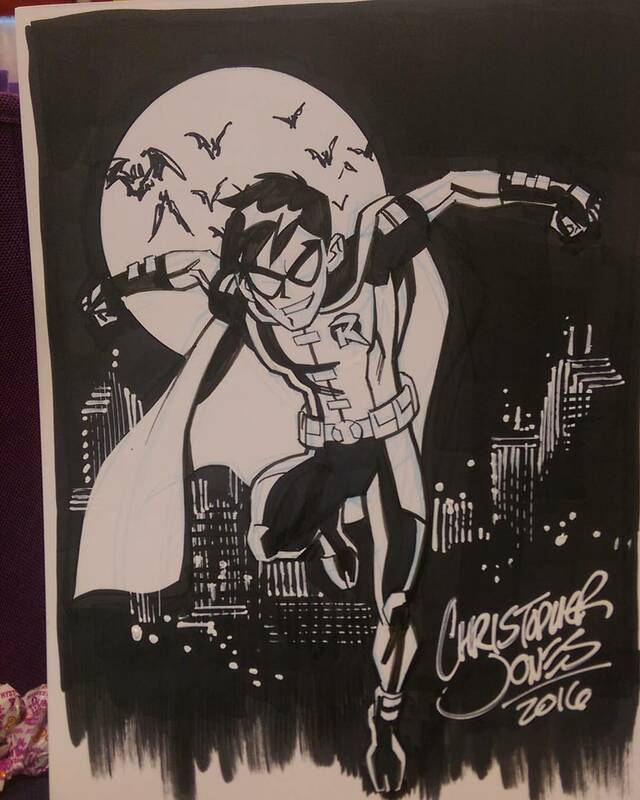 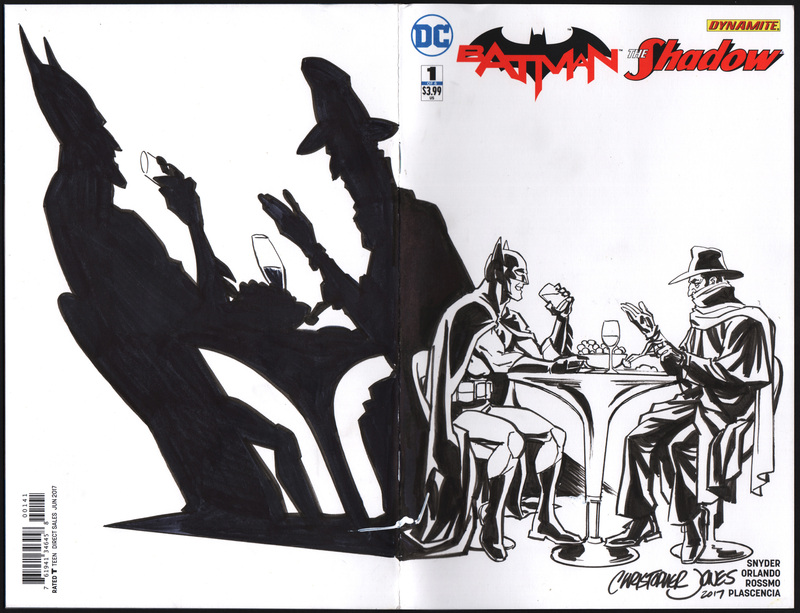 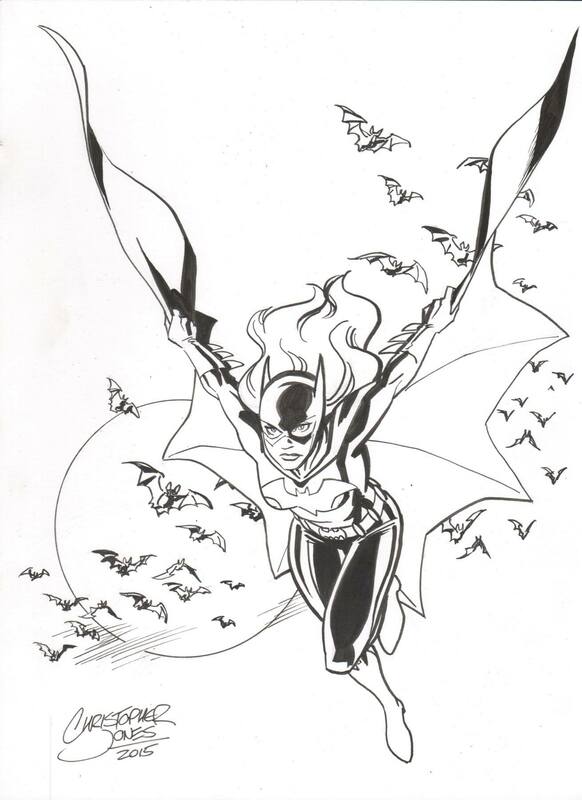 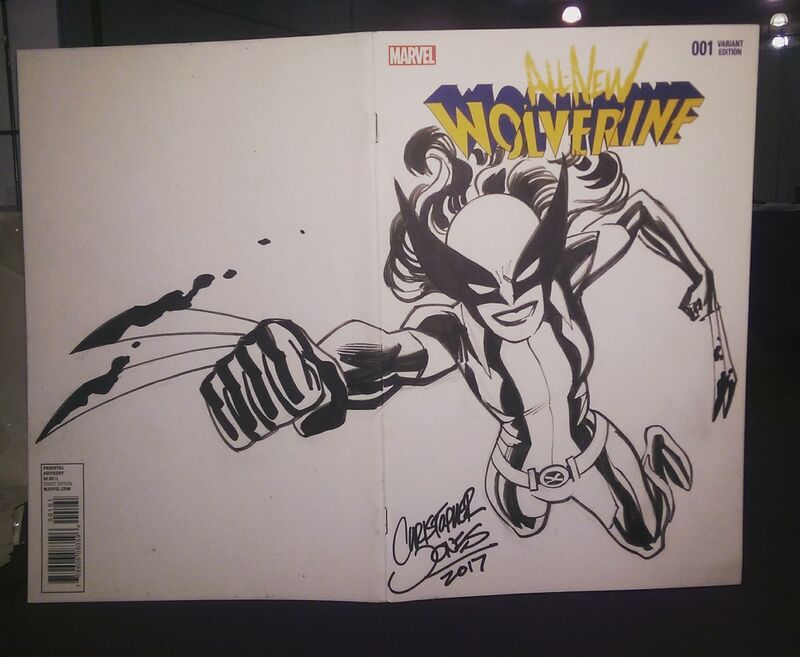 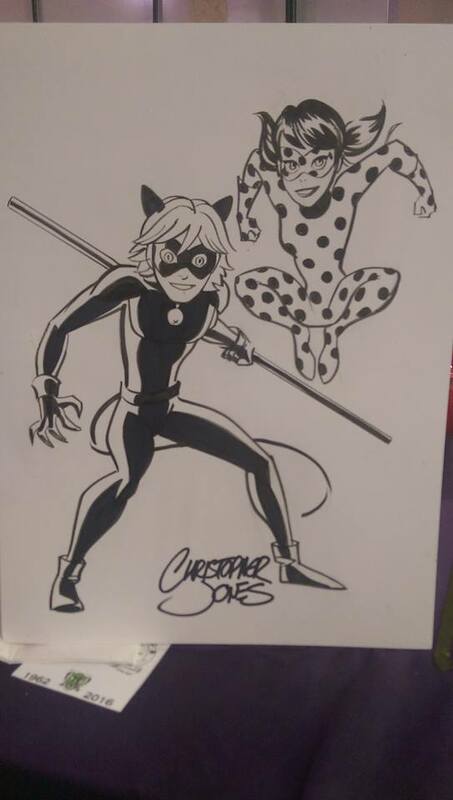 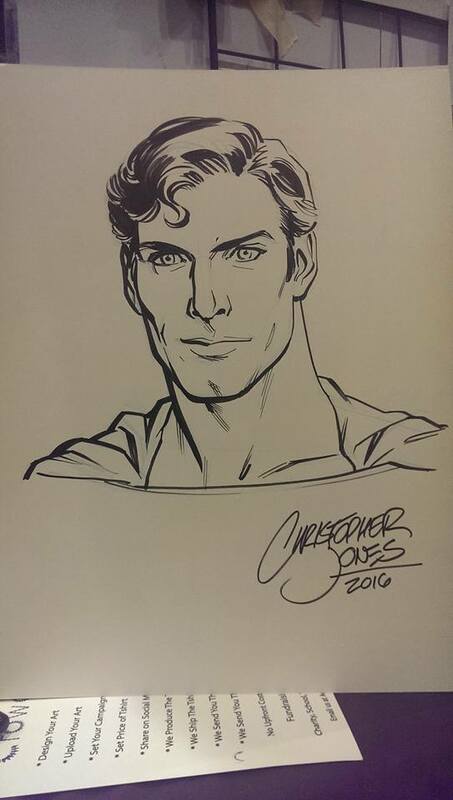 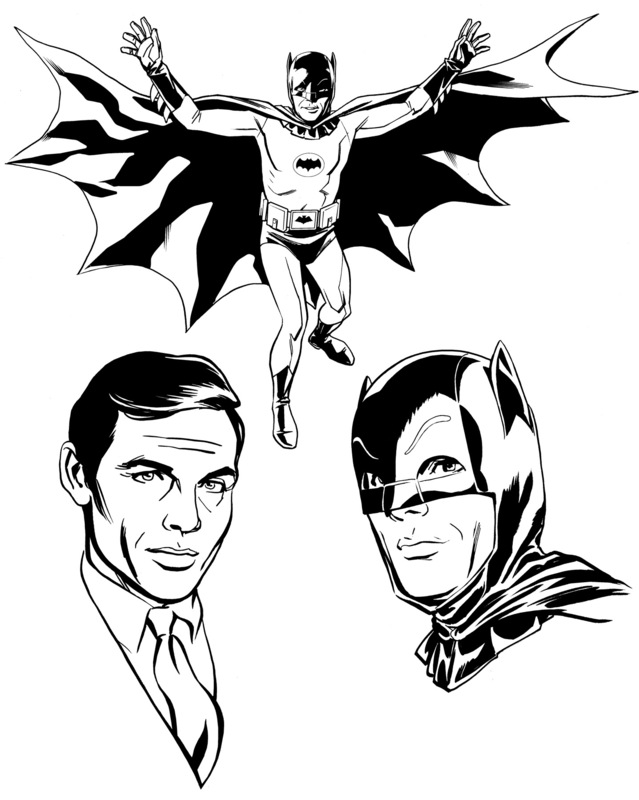 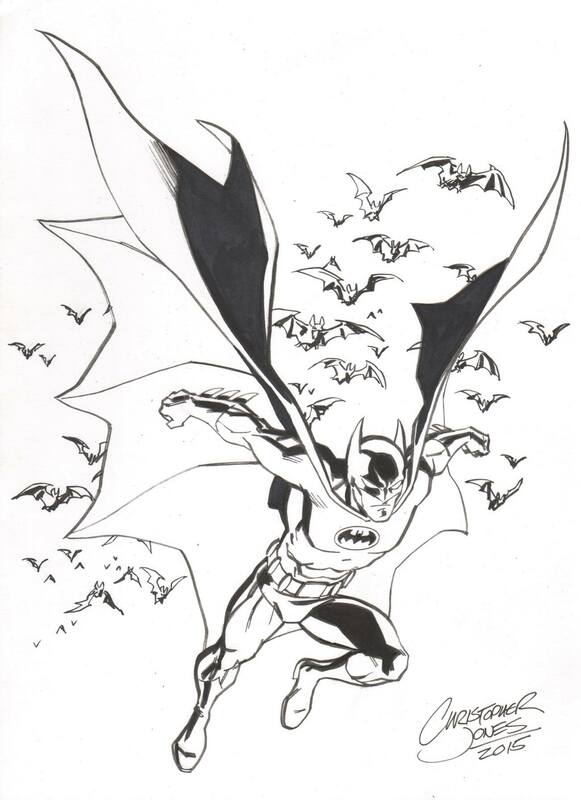 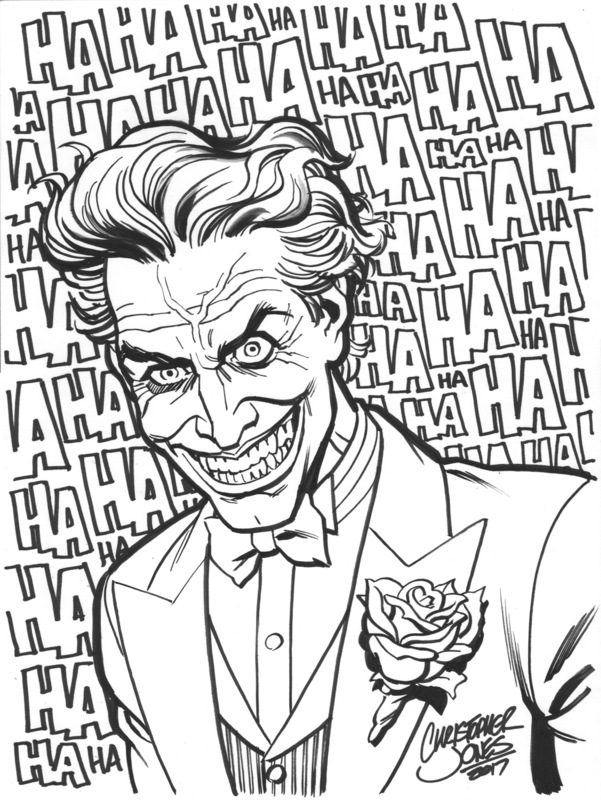 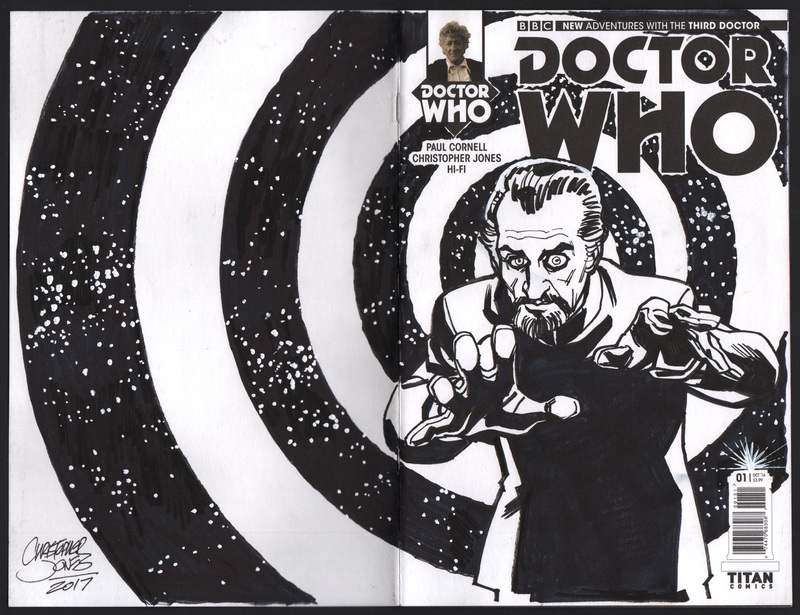 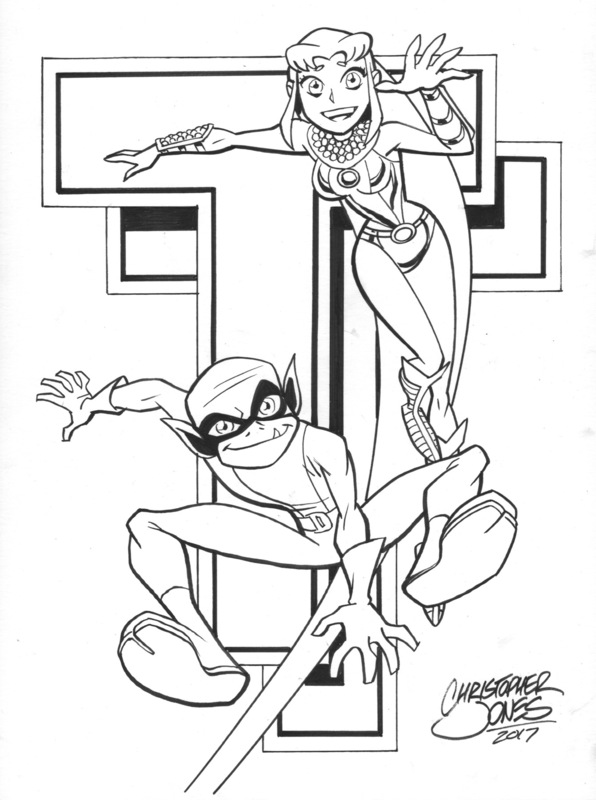 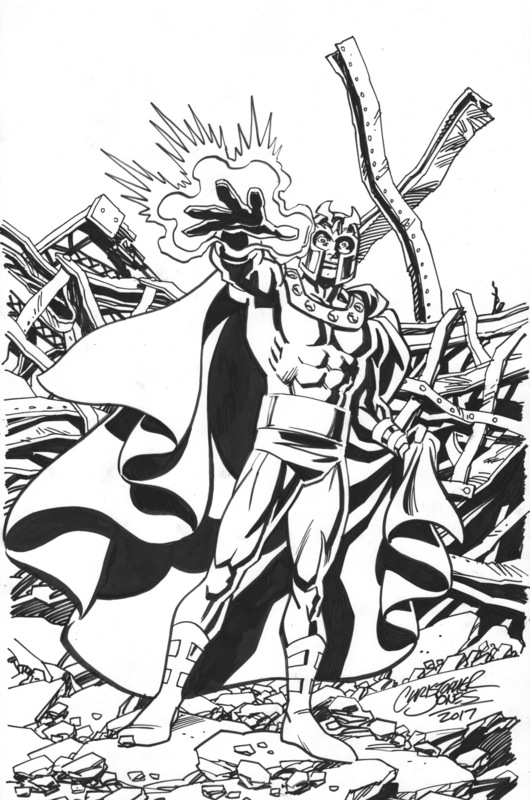 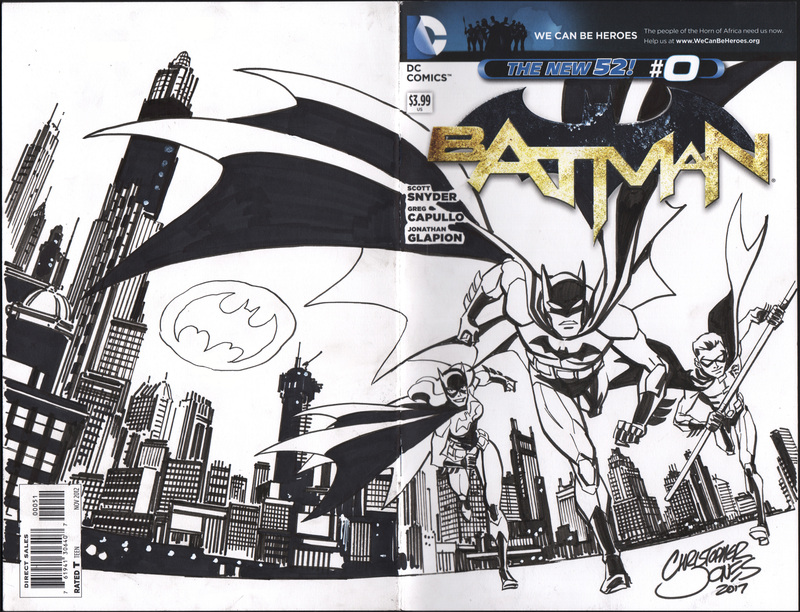 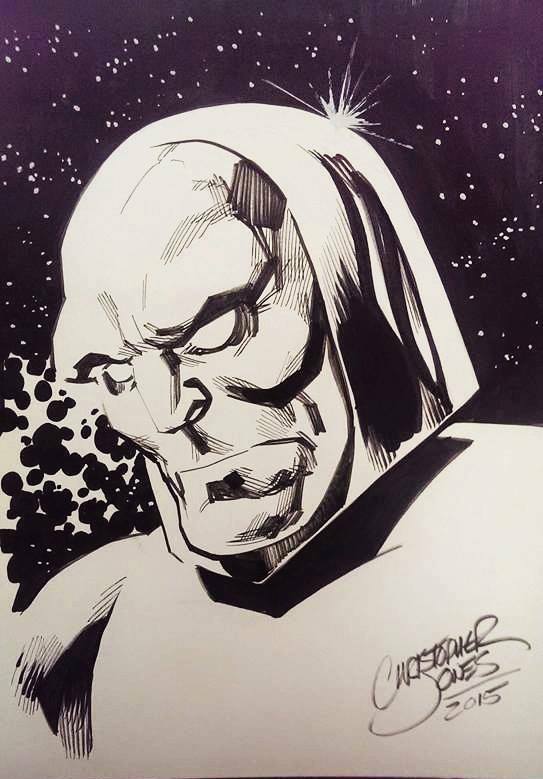 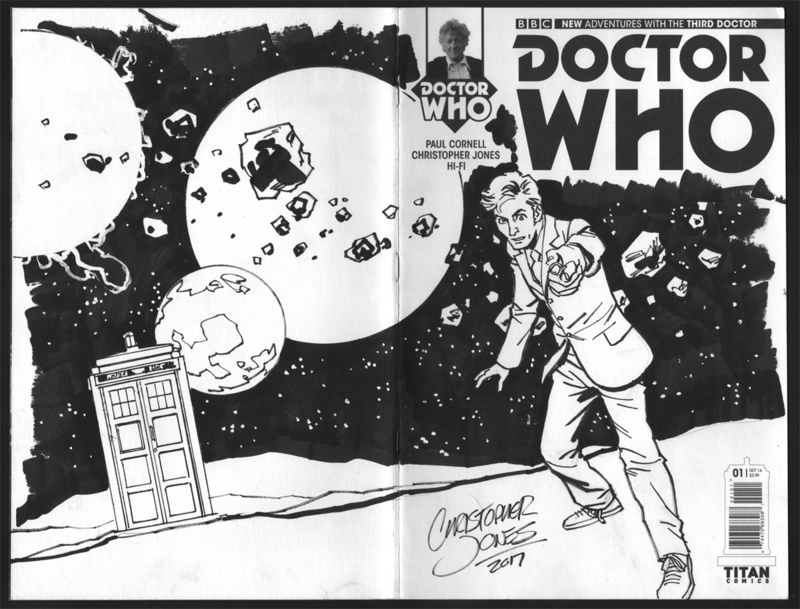 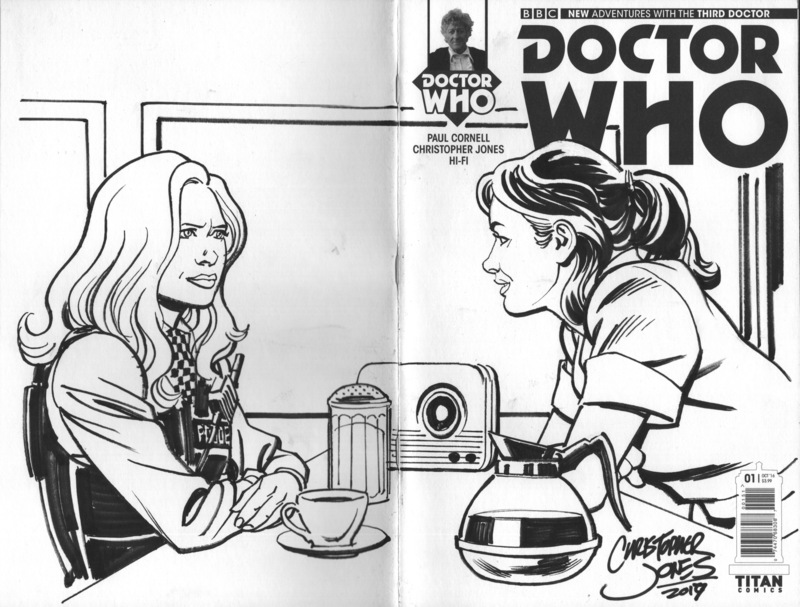 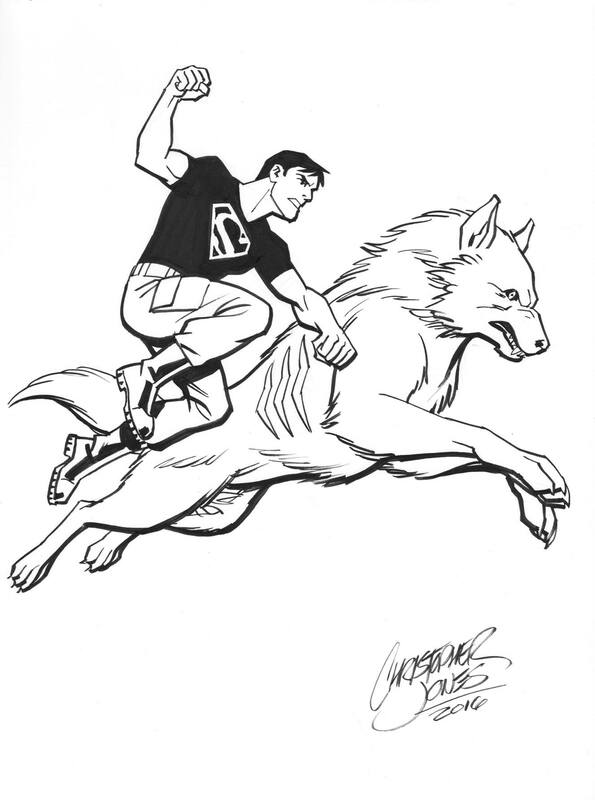 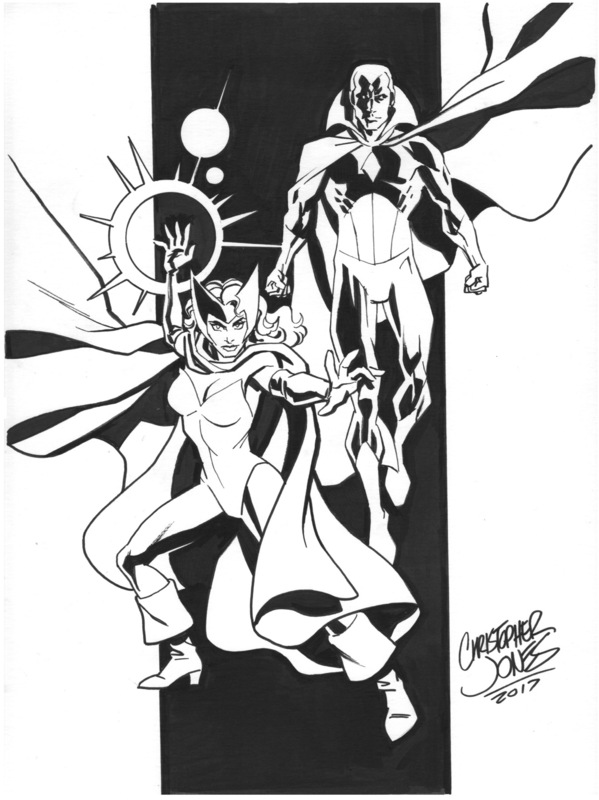 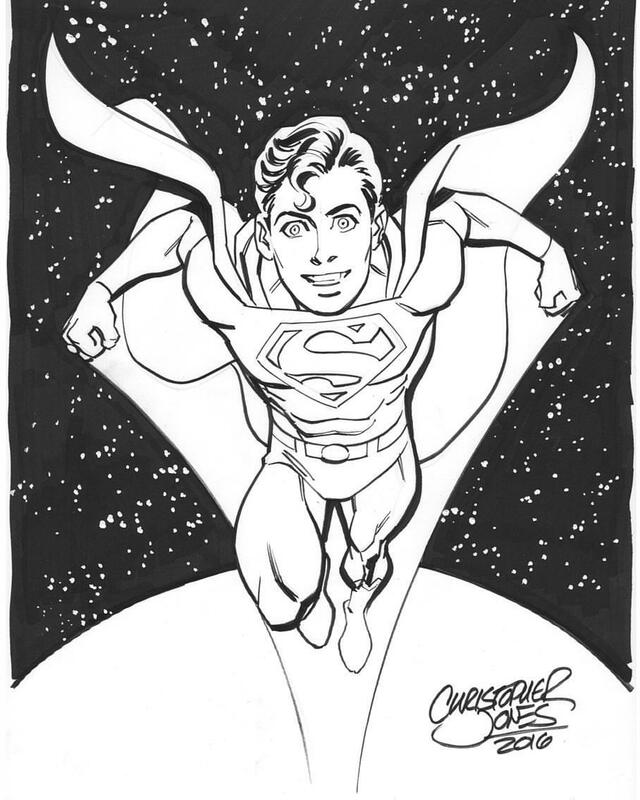 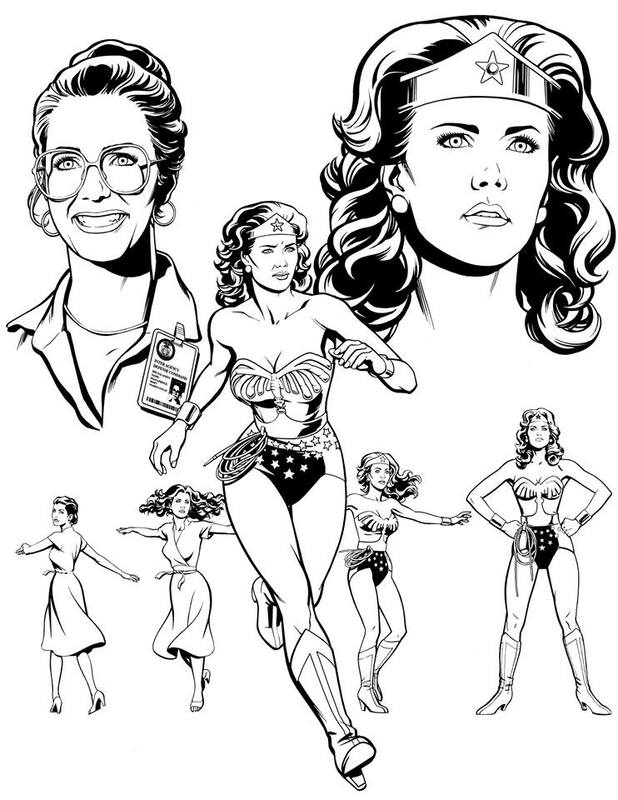 Contact me at chris@ChristopherJonesArt.com and let me know what you’d like by way of a commission sketch. 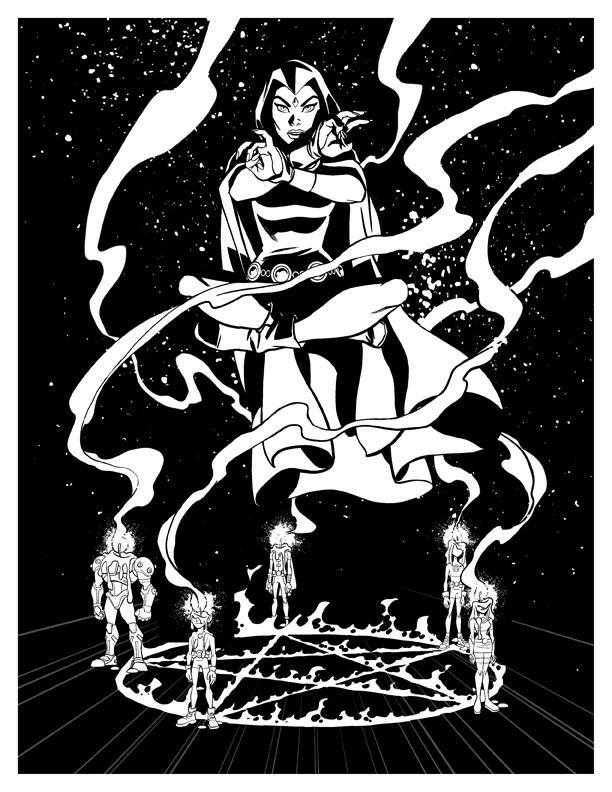 I’ll email you back with a confirmation or any follow-up questions. 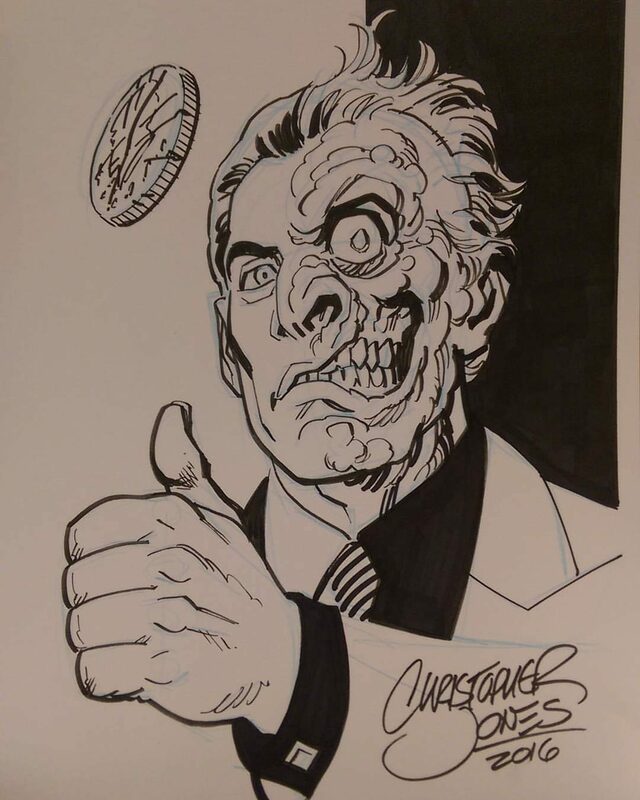 You can pay me when you pick the art up at the convention. 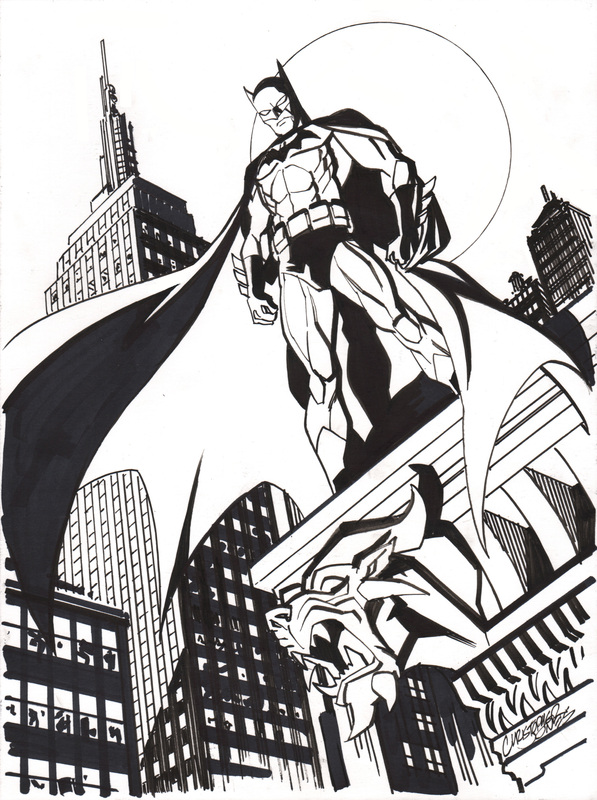 Wanting some original art from me but won’t be in Pikeville, Kentucky this Saturday? 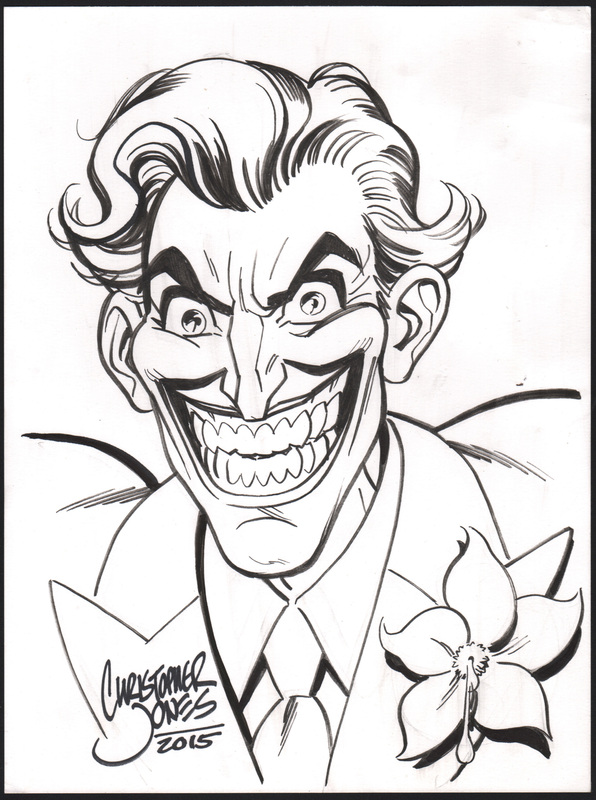 I’m also taking pre-orders for New York Comic Con in October, and can also send commission sketches by mail (but I’ll have to charge an additional shipping fee for that option). 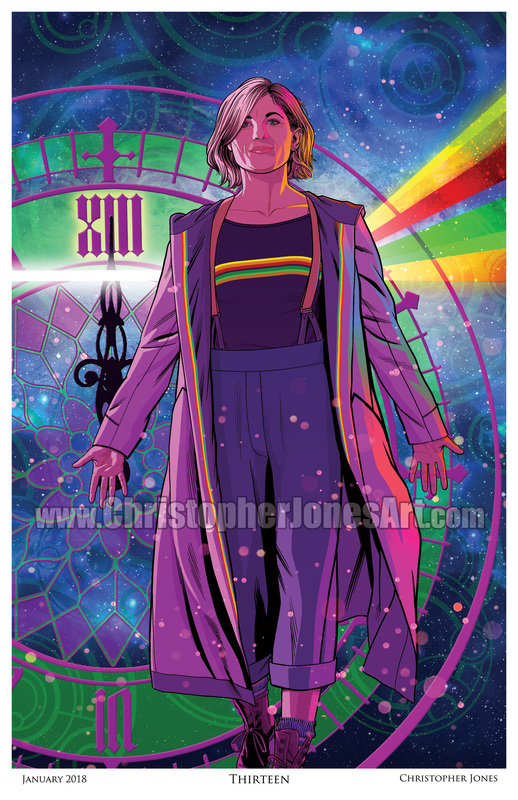 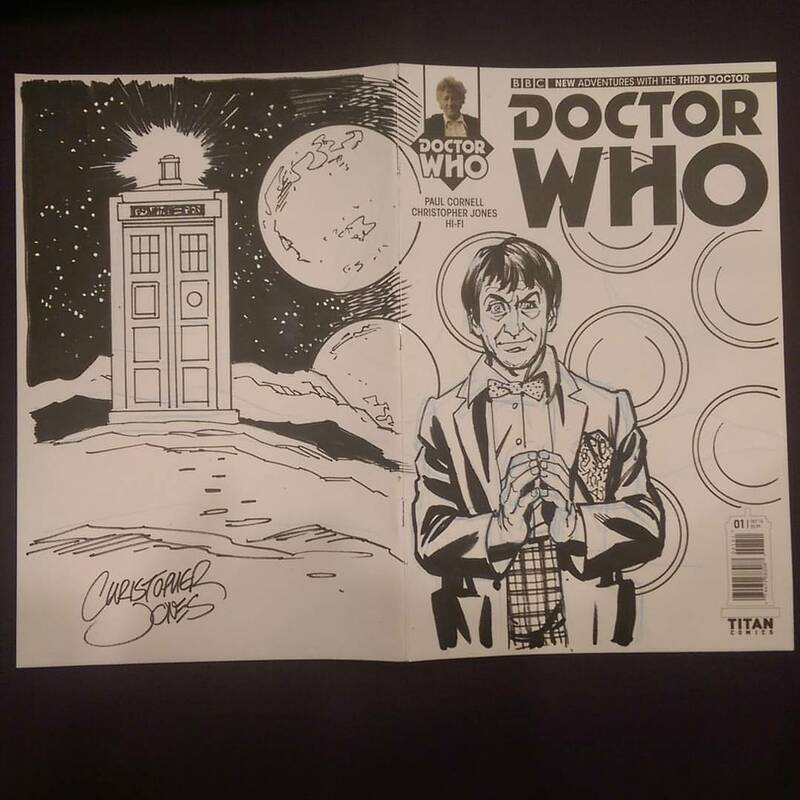 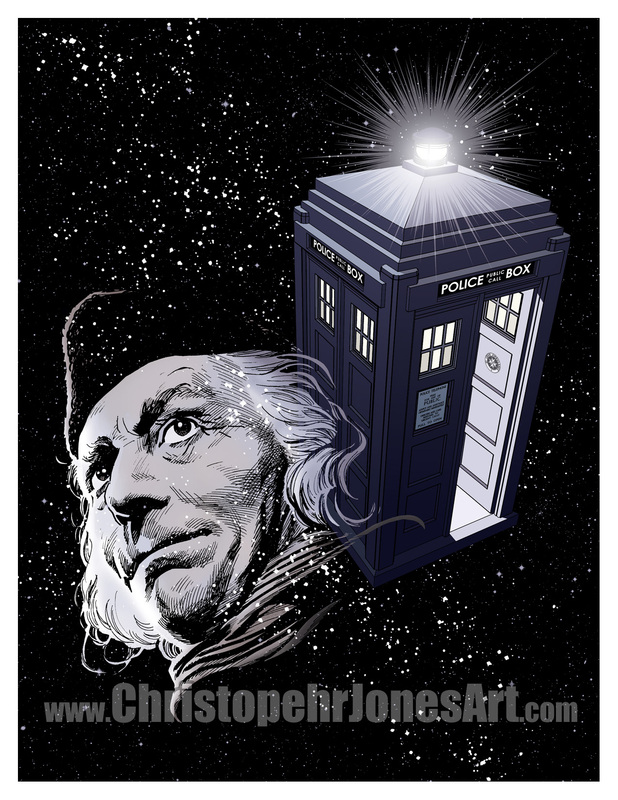 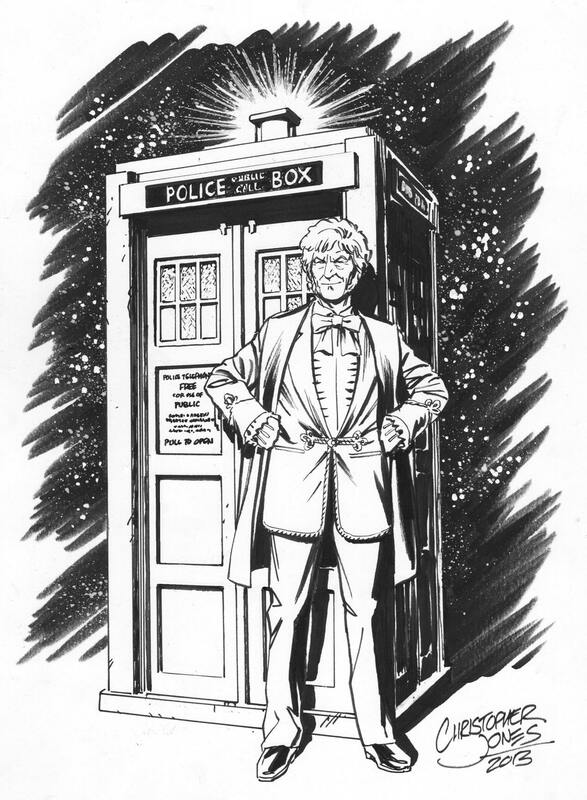 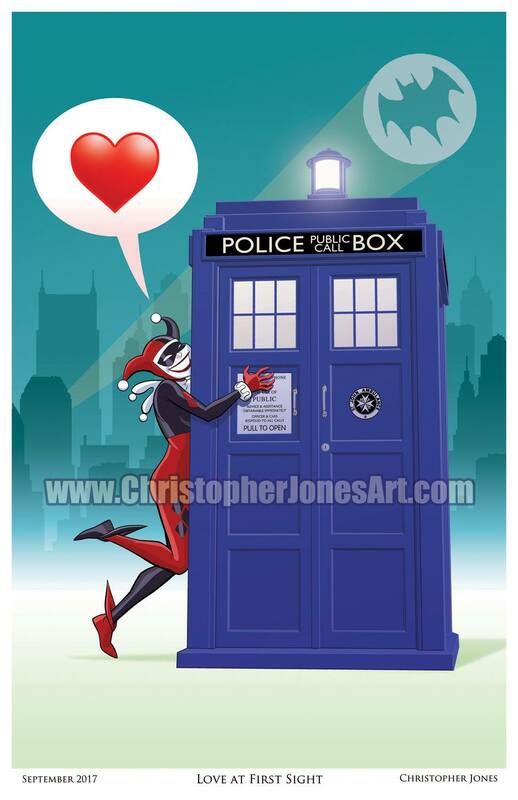 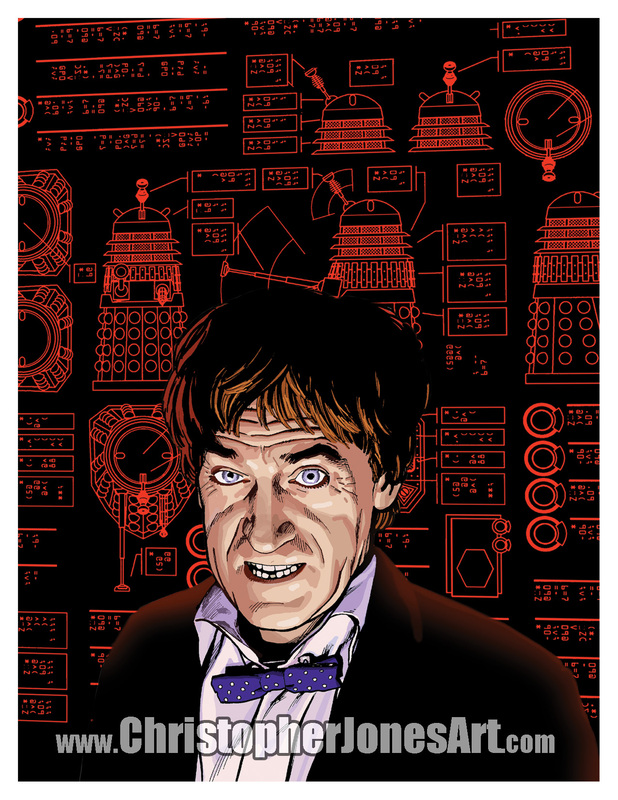 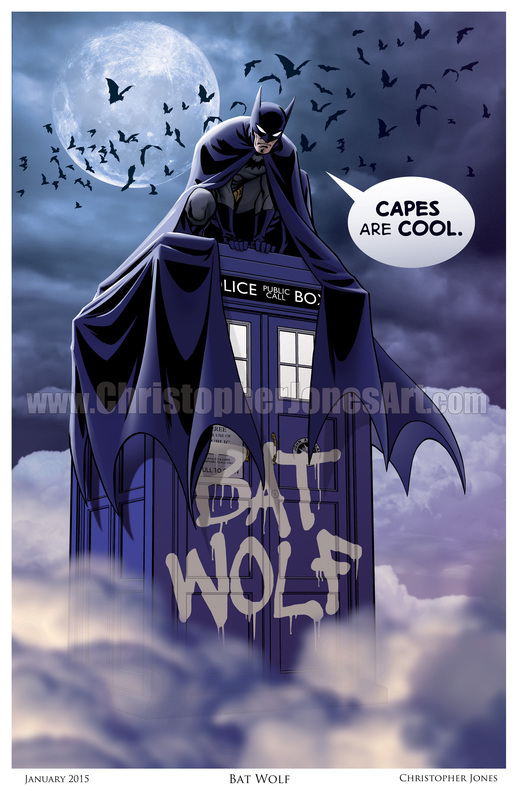 I’ll have my usual mix of Doctor Who and superhero prints available at the Pikeville convention. 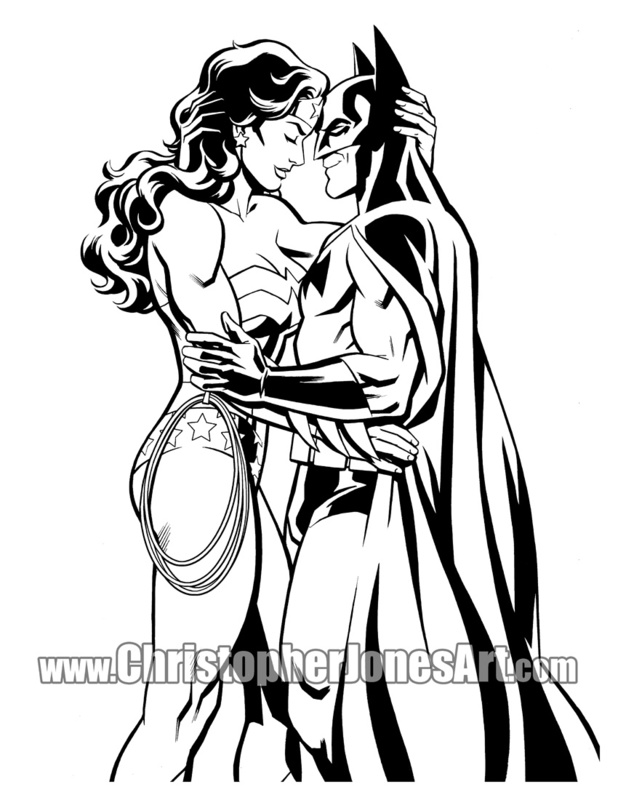 My 11″x17″ prints are $20 each or 3 for $50. 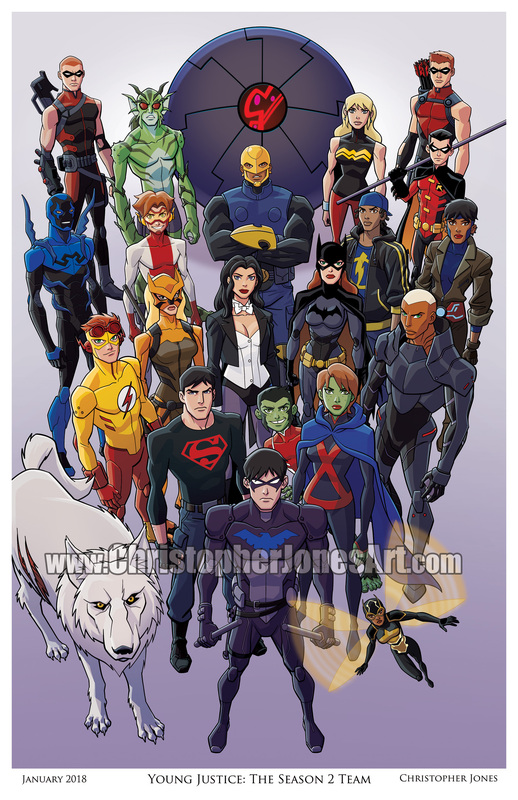 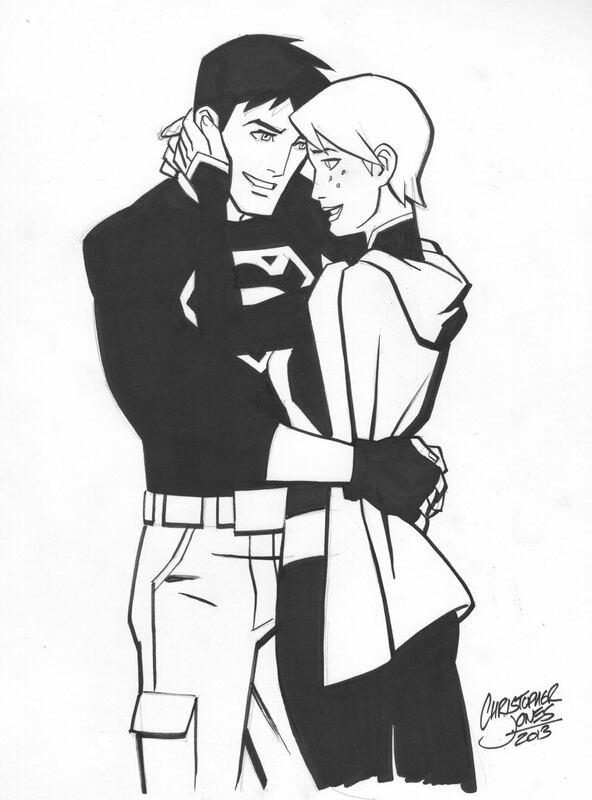 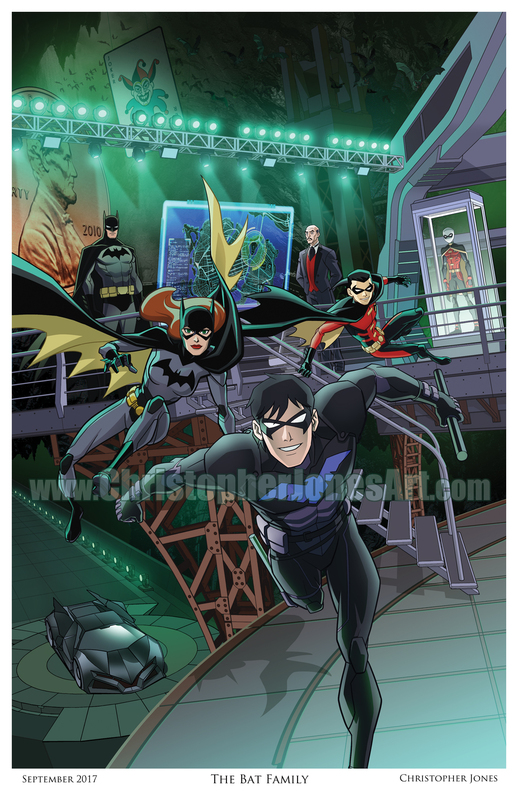 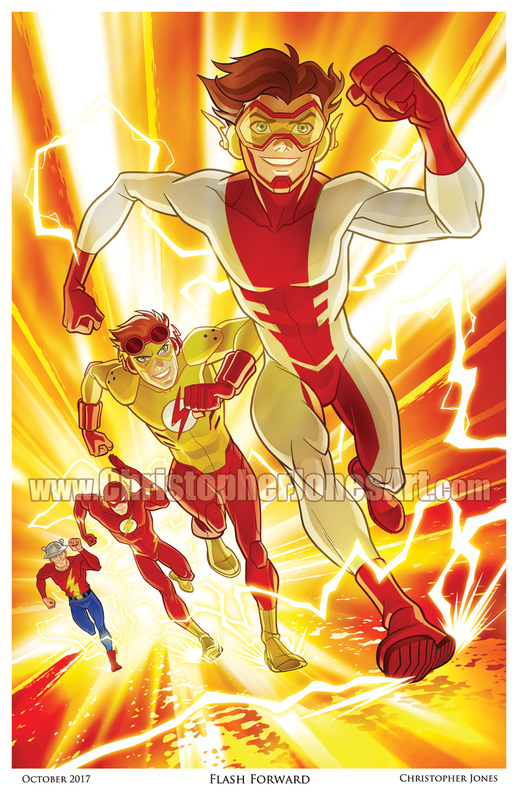 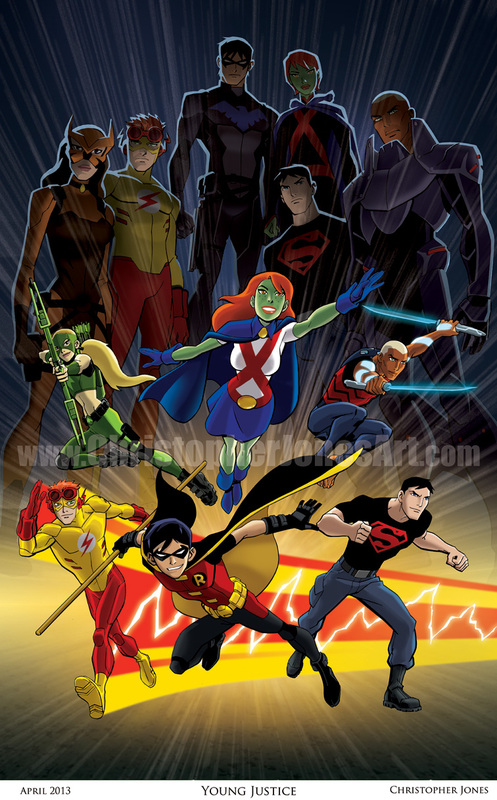 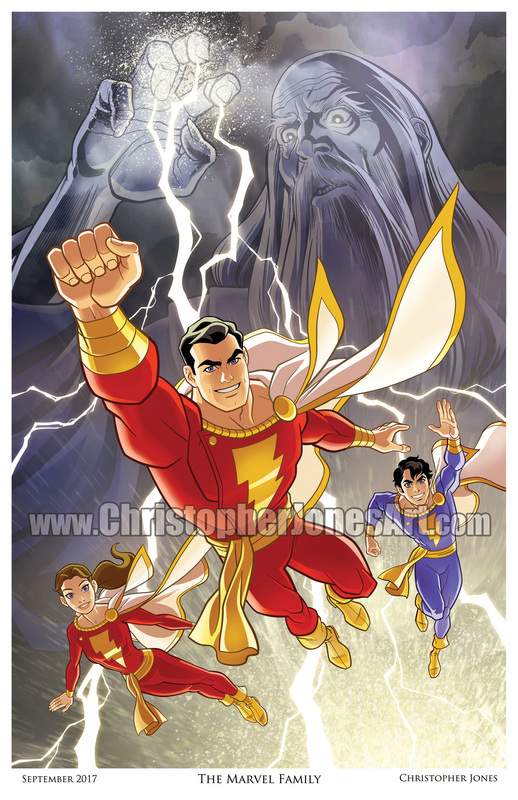 If you’re a Young Justice fans like me and are chomping at the bit for the premiere of the long awaited 3rd Season, I have a bonanza of prints to tide you over!